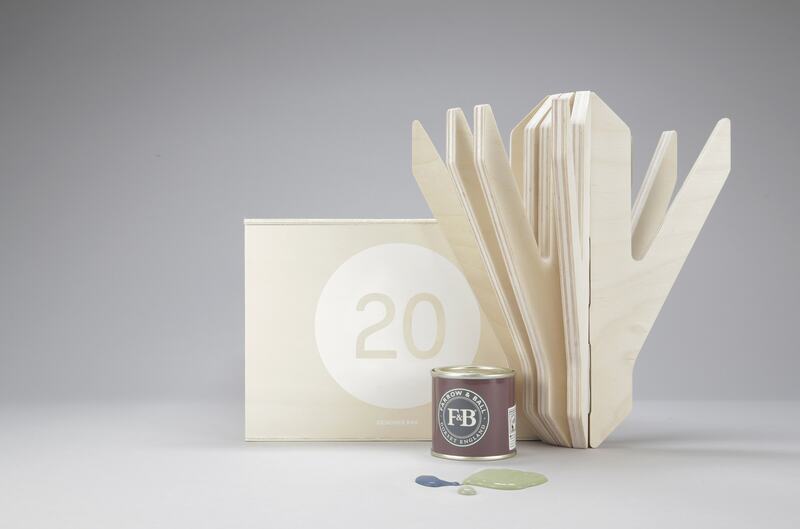 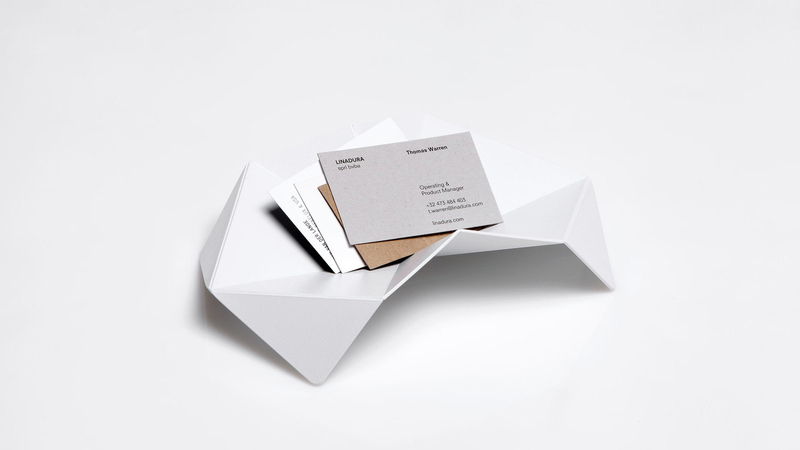 Designerbox#20 - One-off edition - January 2015 - Numbered wooden box with a wood coathanger, its certificate of authenticity, a newspaper and a small Farrow&Ball color pot. 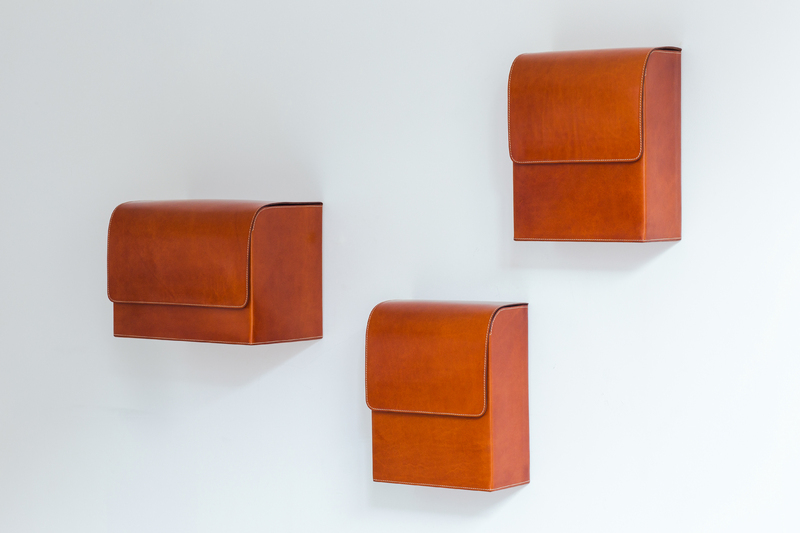 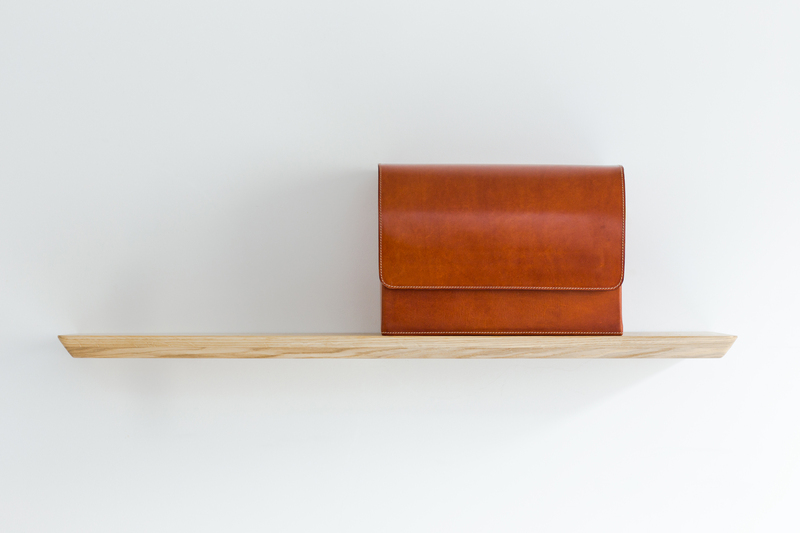 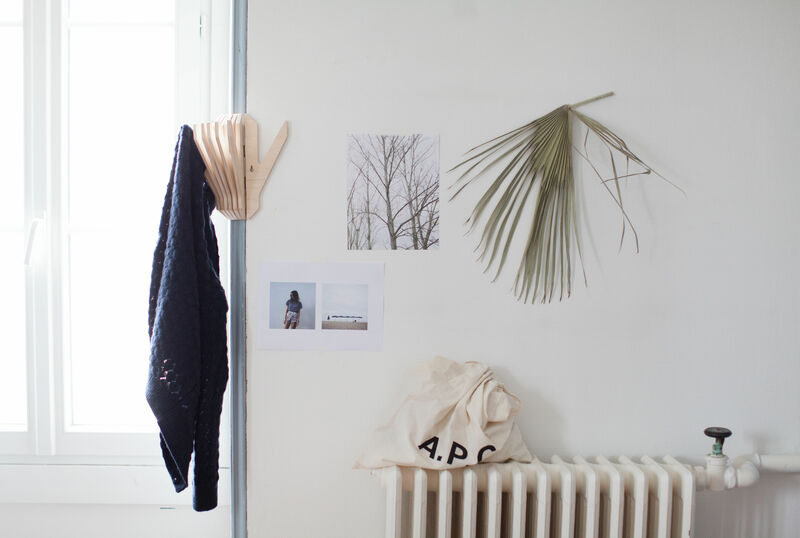 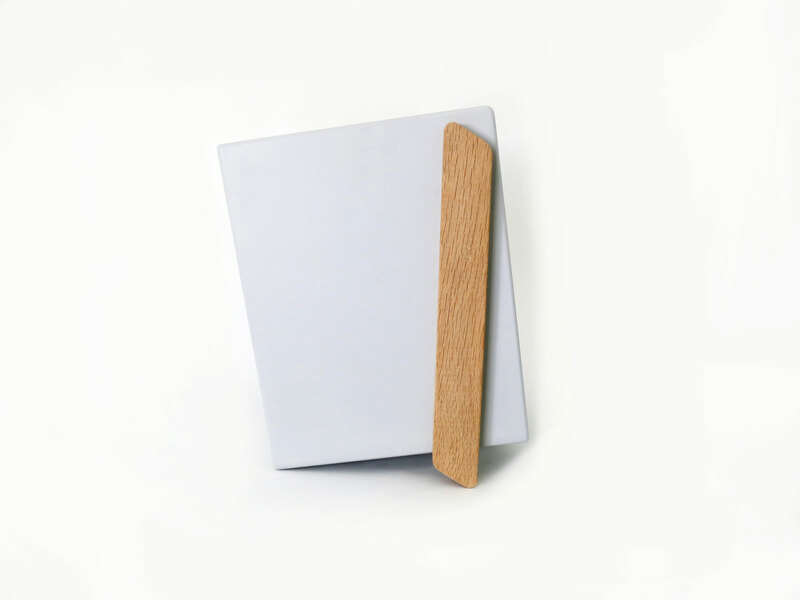 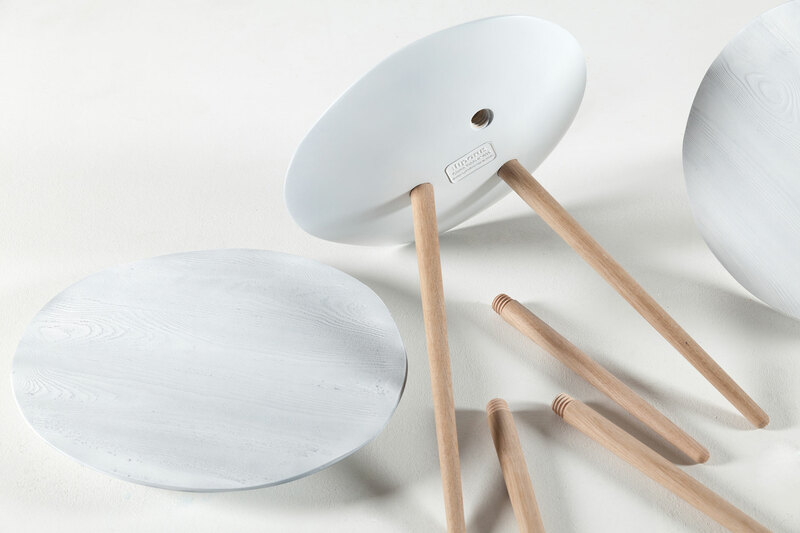 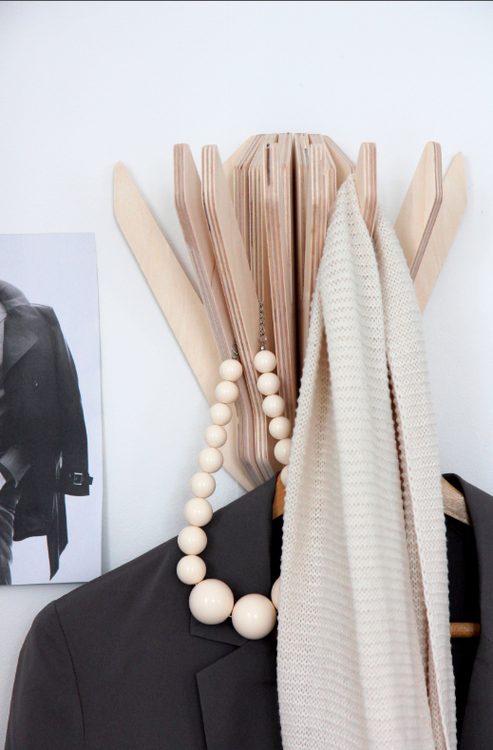 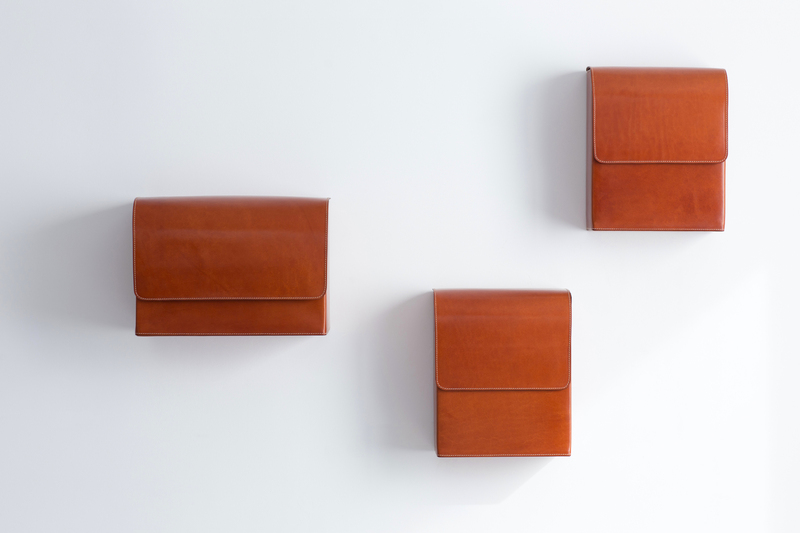 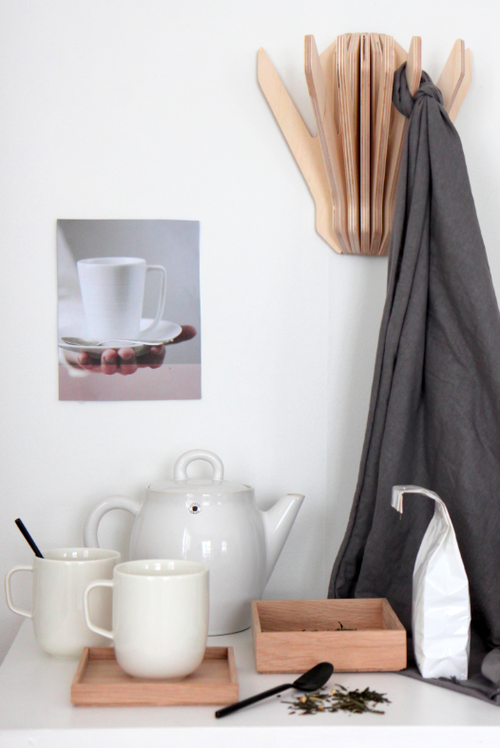 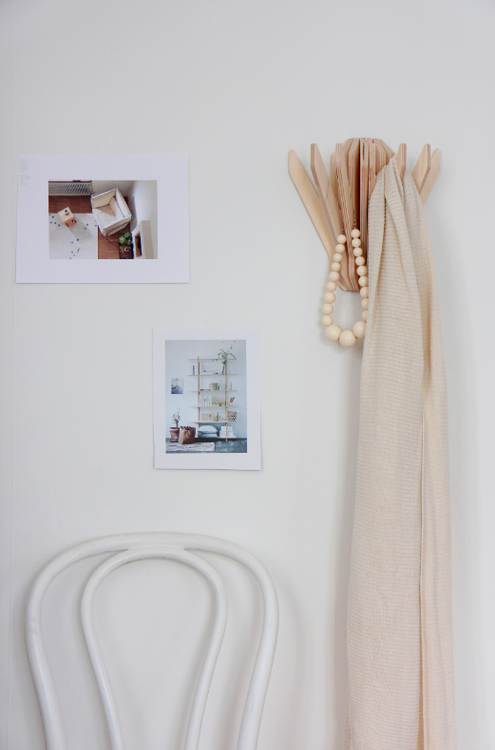 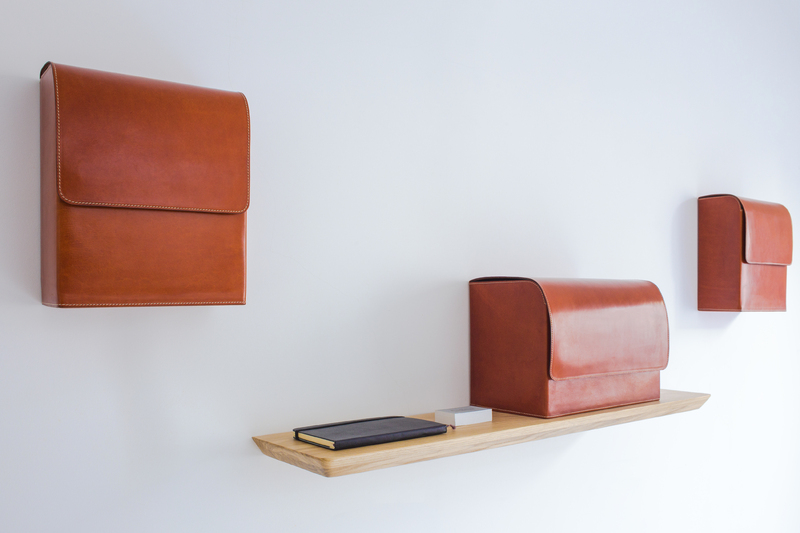 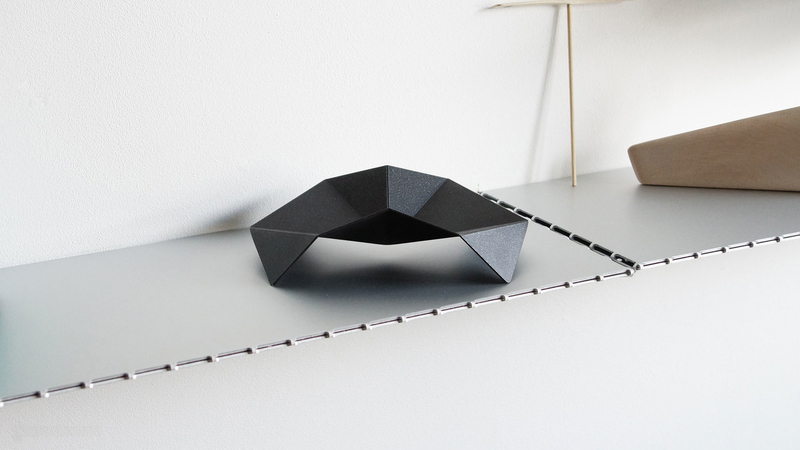 As a clever coat hanger, ‘Hooks’ unfolds like a book to be positioned against any wall or corner. 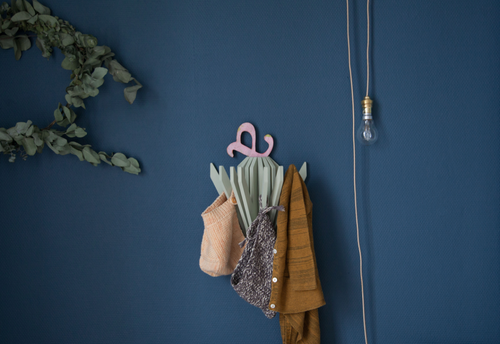 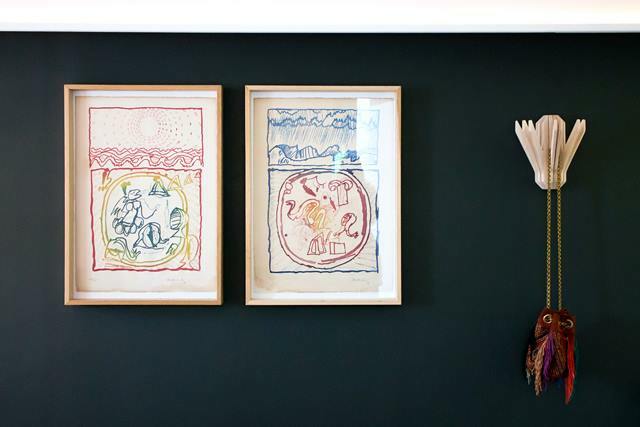 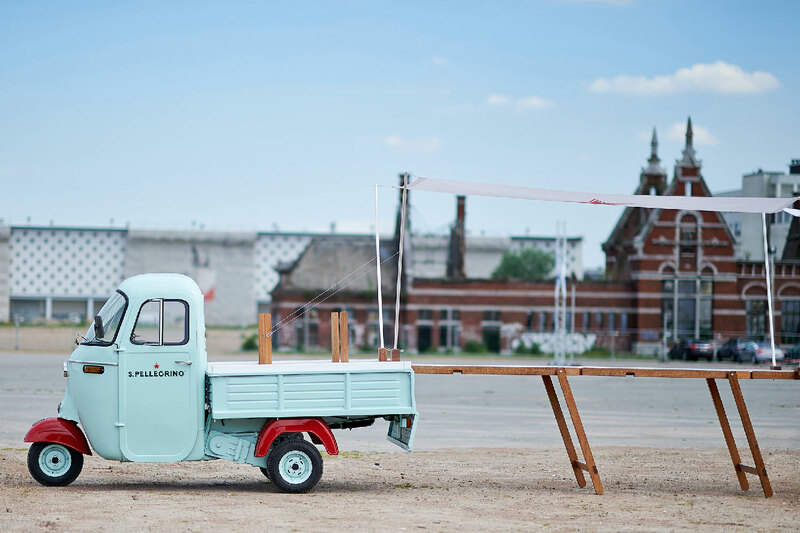 Delivered with Farrow & Ball colors, it offers great versatility and the opportunity for personalization. 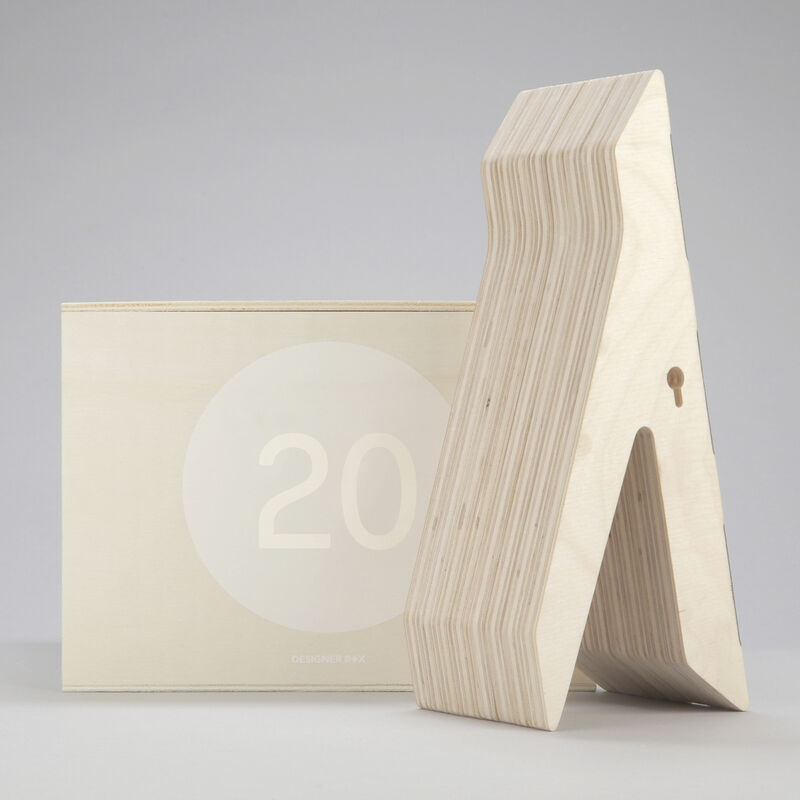 See Hooks’ Designerbox 20 webpage. 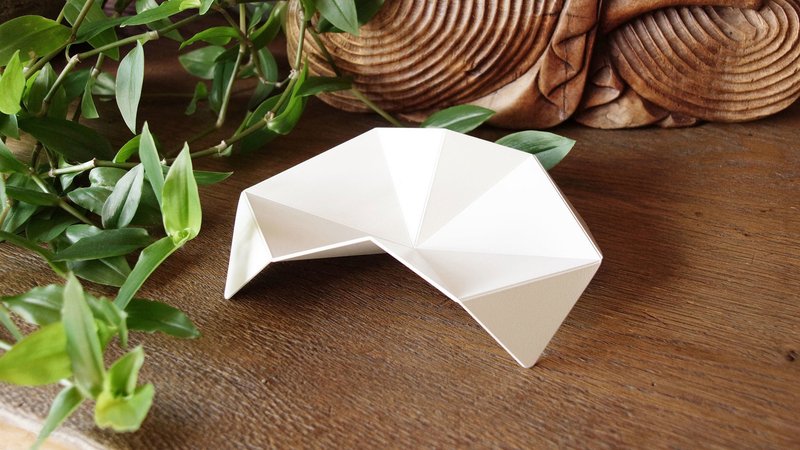 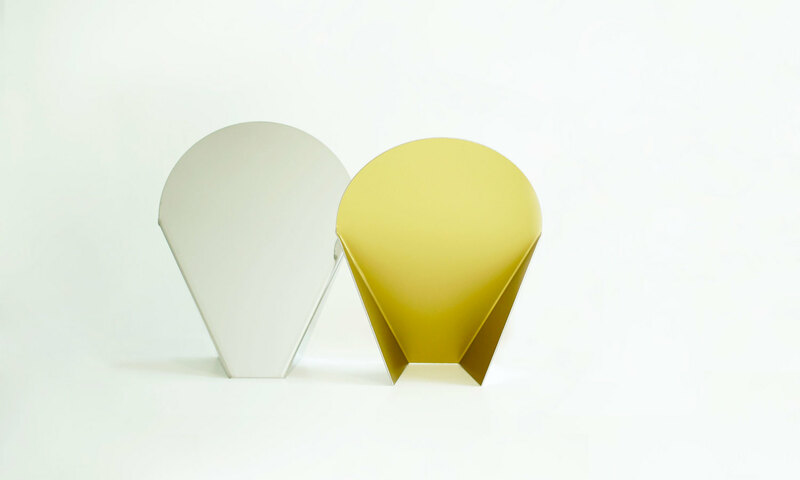 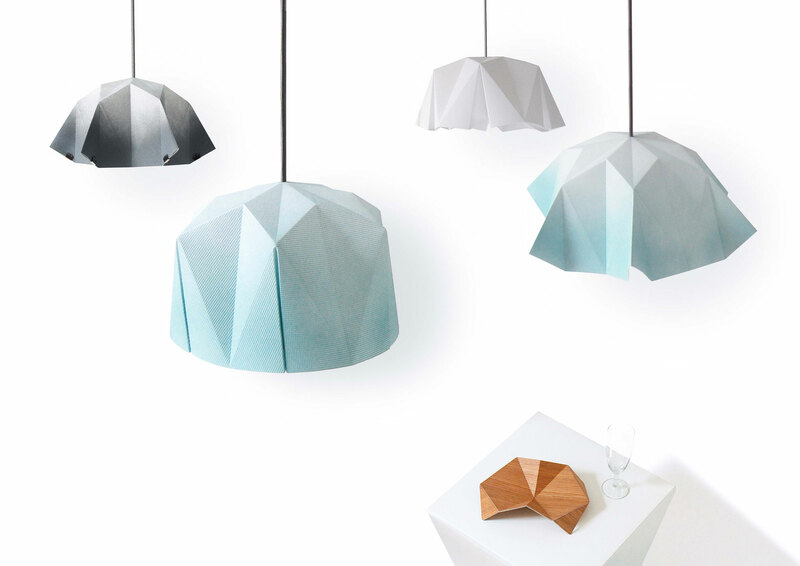 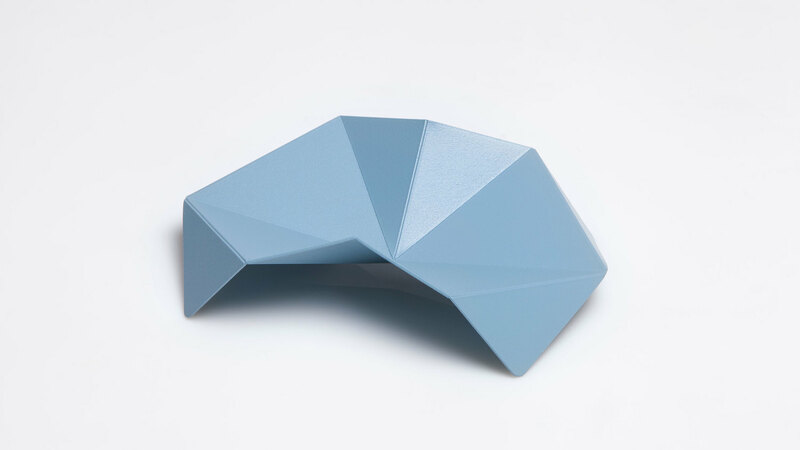 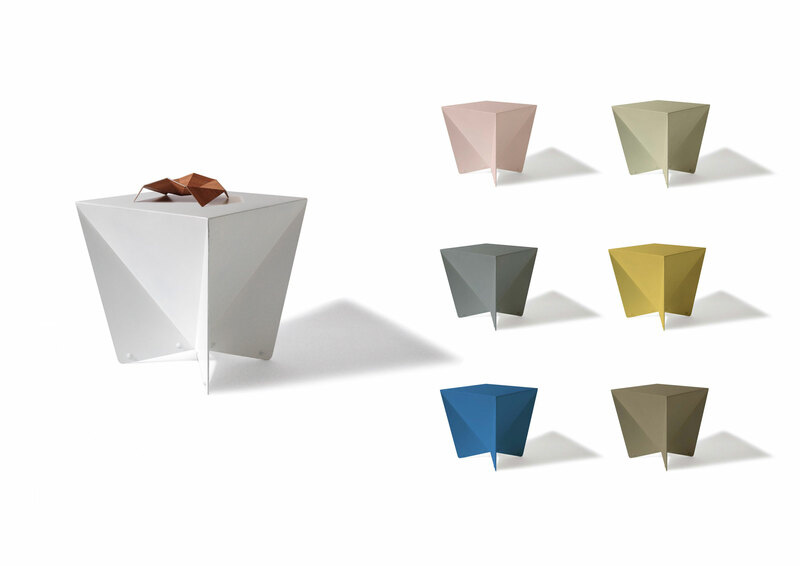 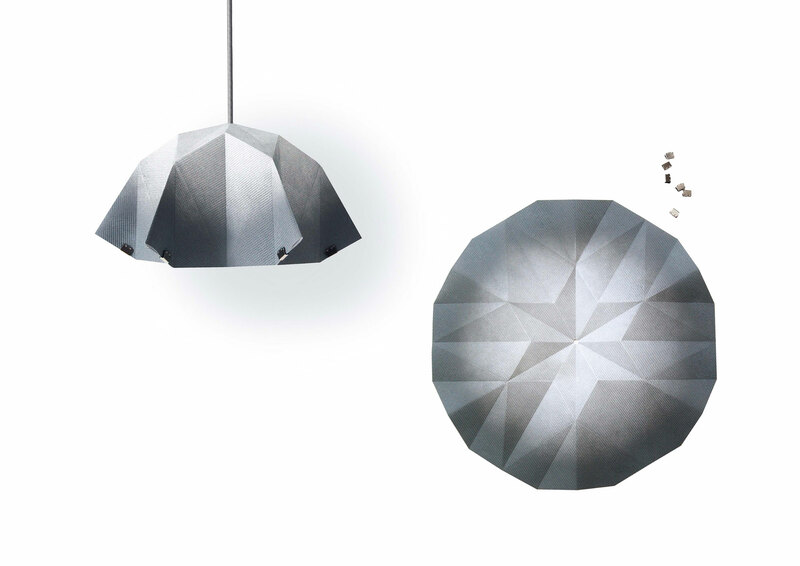 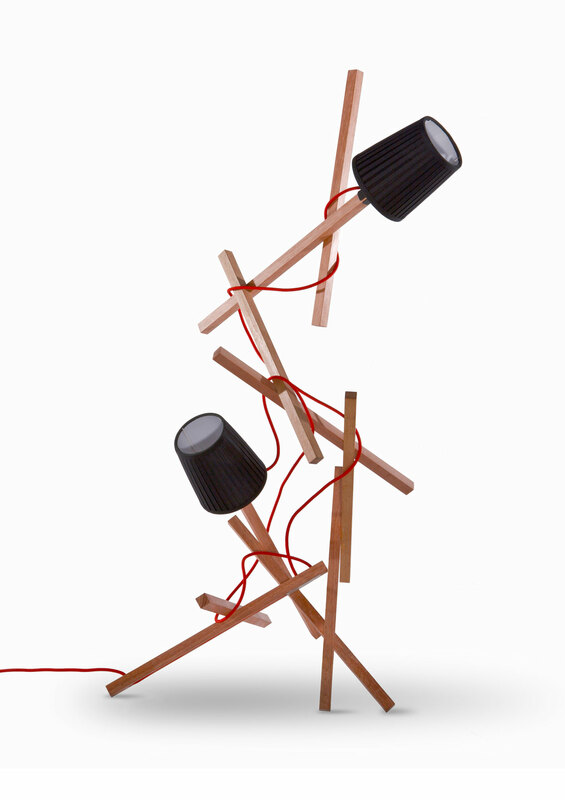 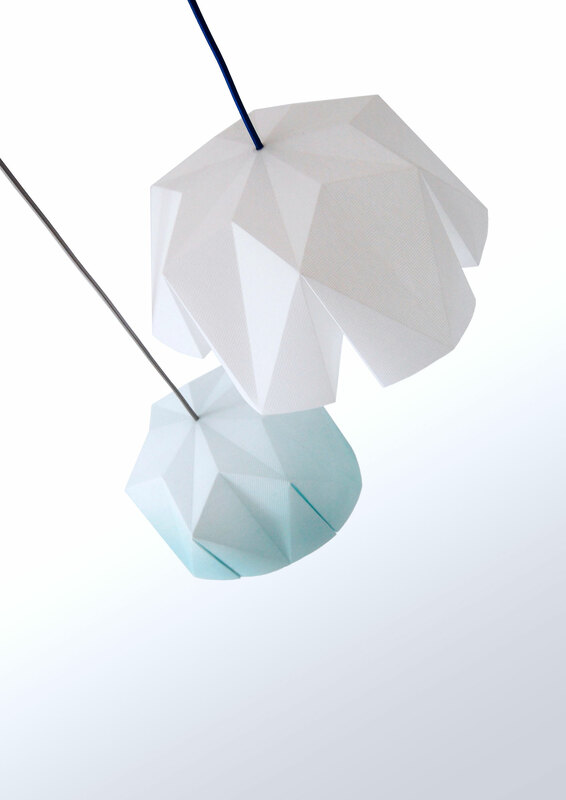 2012 - Foldable lamp shade with clips that allow you to arrange different shapes. 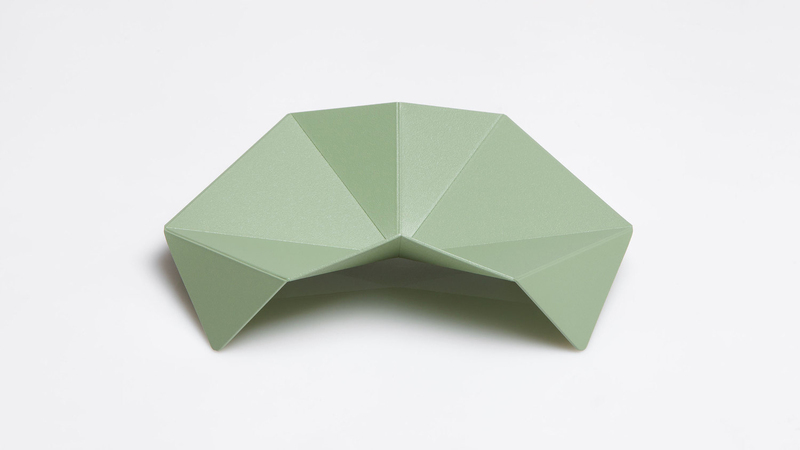 The Bobonne shade is made of a single circle of fabric that can be stored and delivered plano. 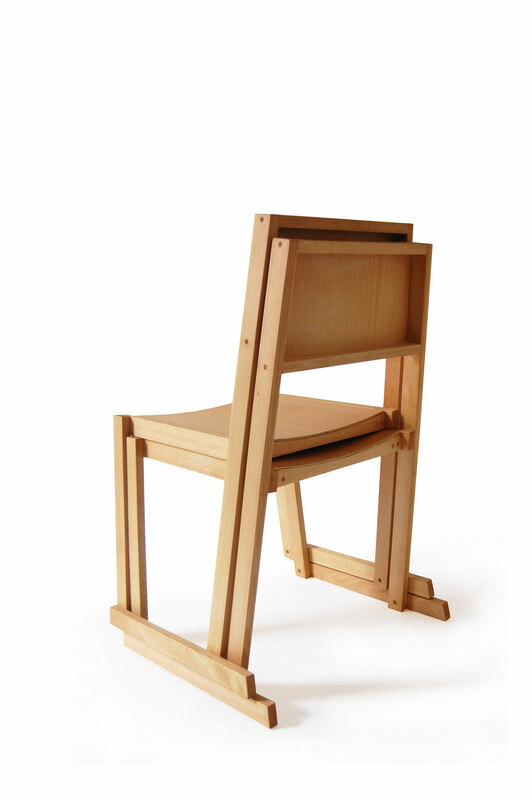 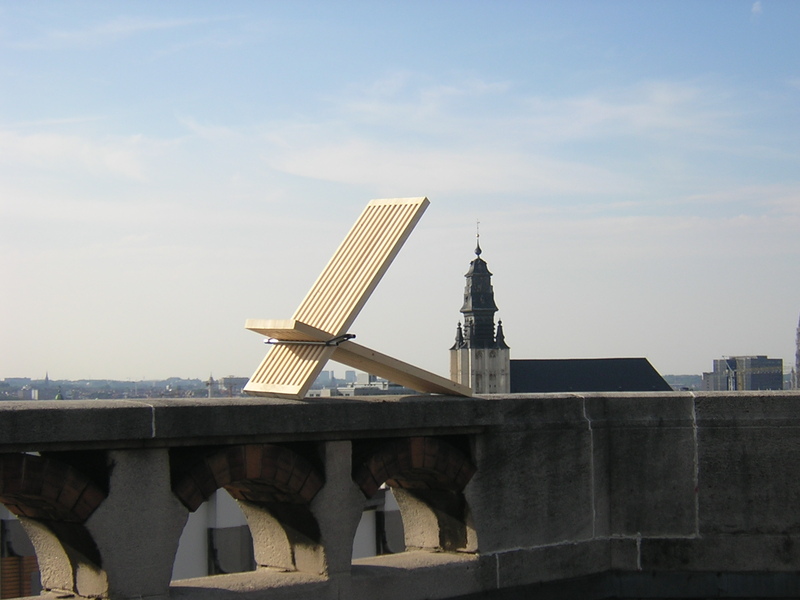 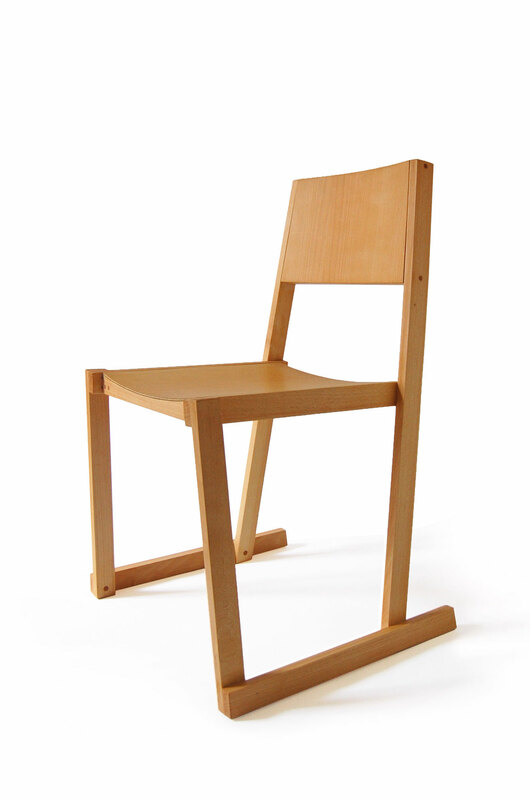 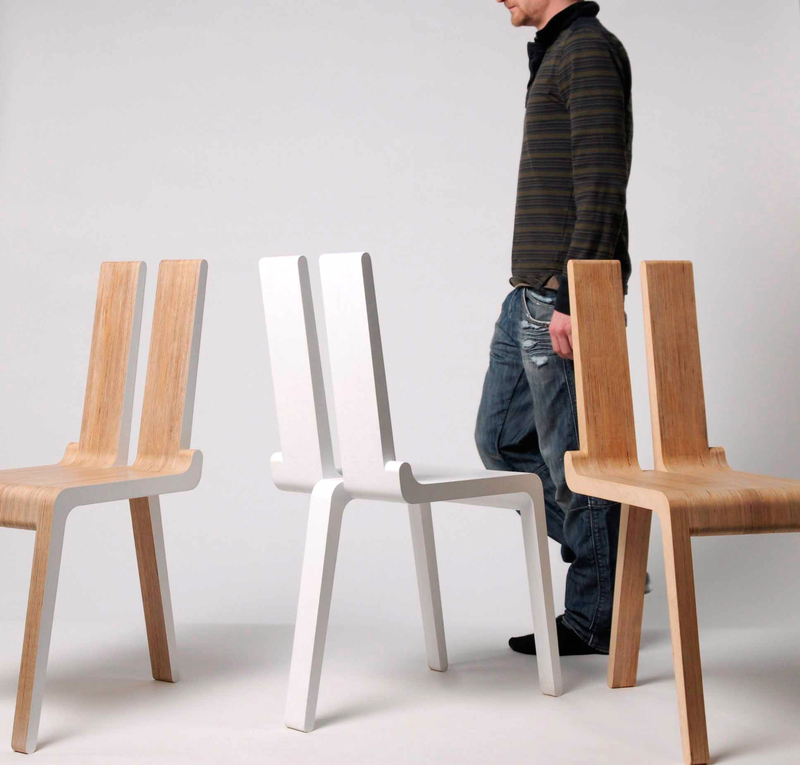 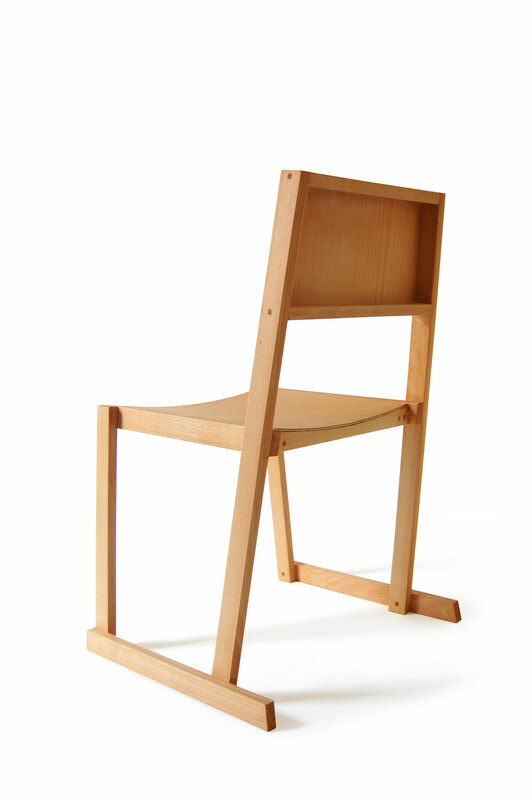 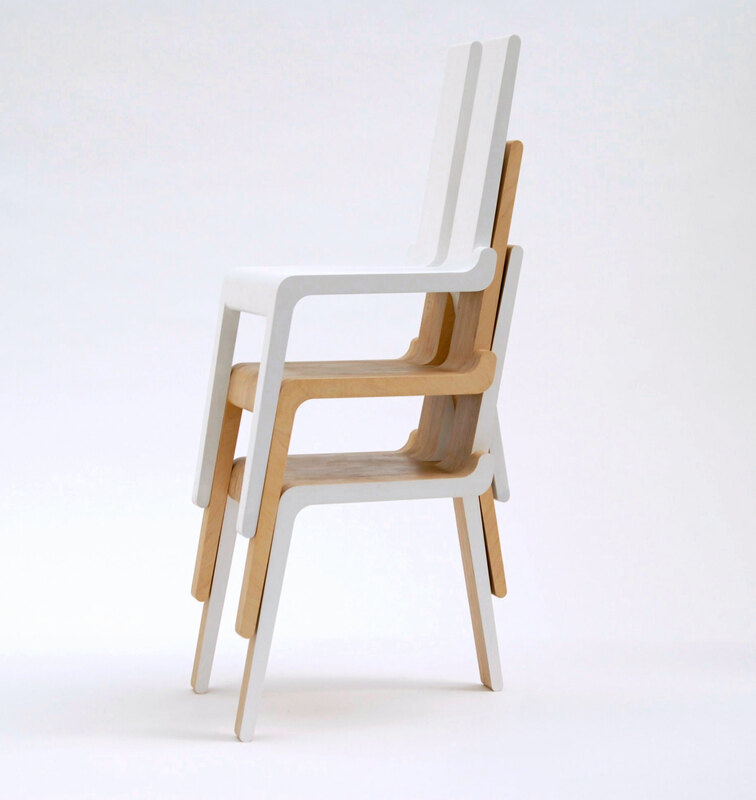 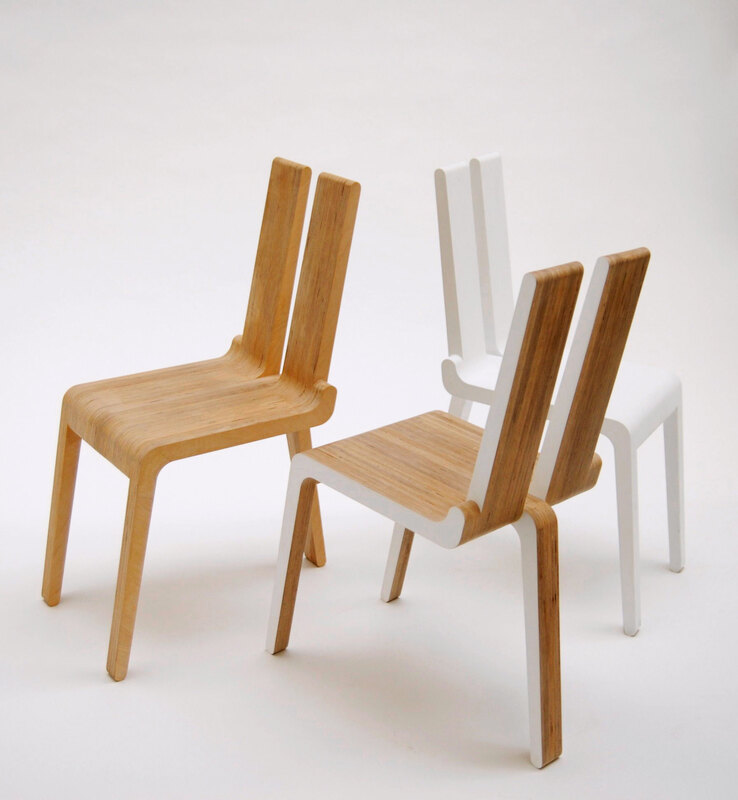 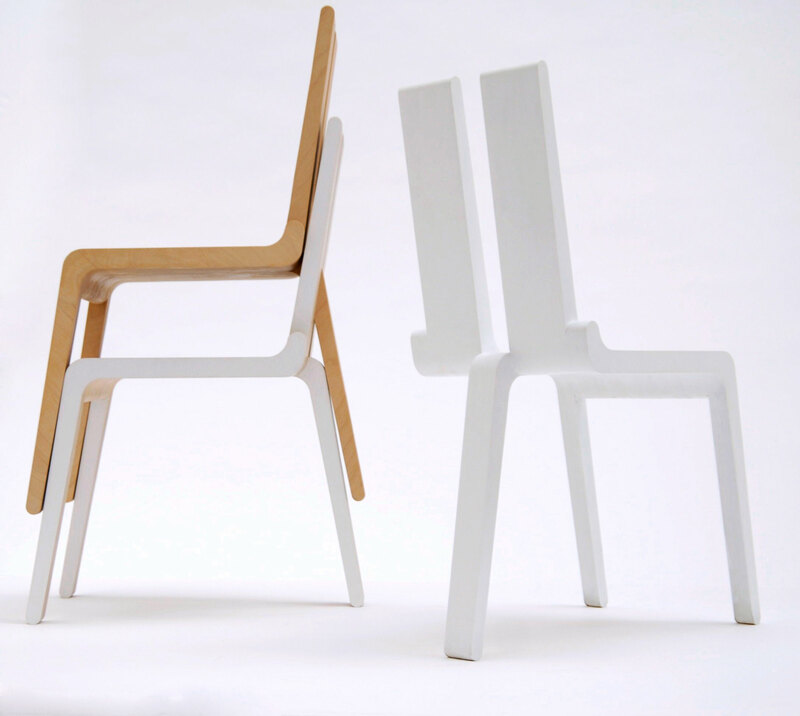 2012 - Stackable chair from which the entire structure is made of the same beech section (40x20mm). 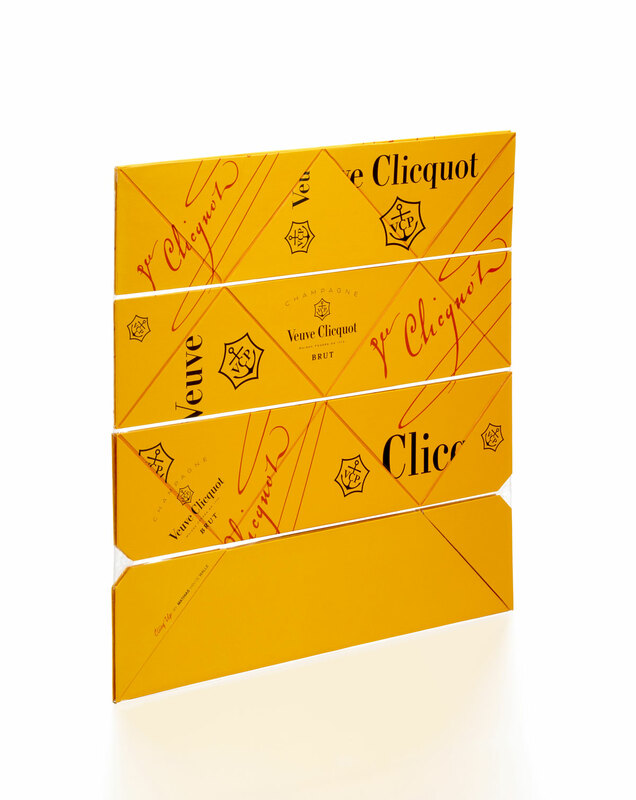 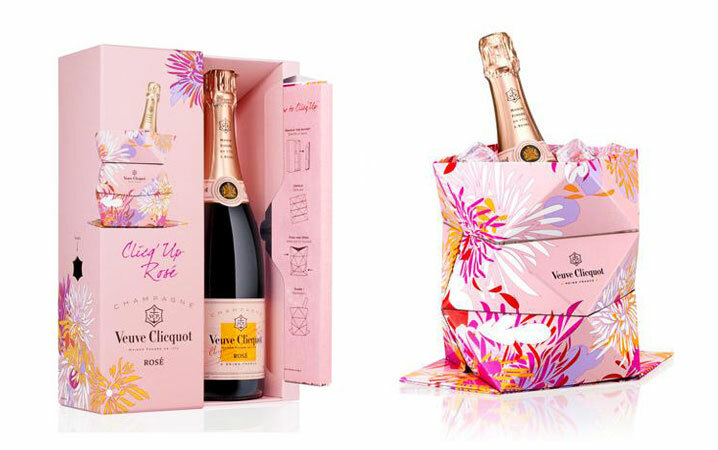 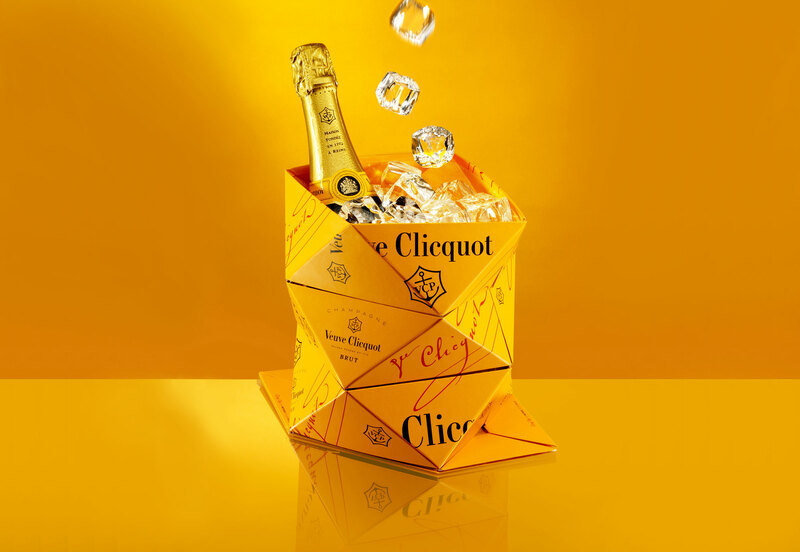 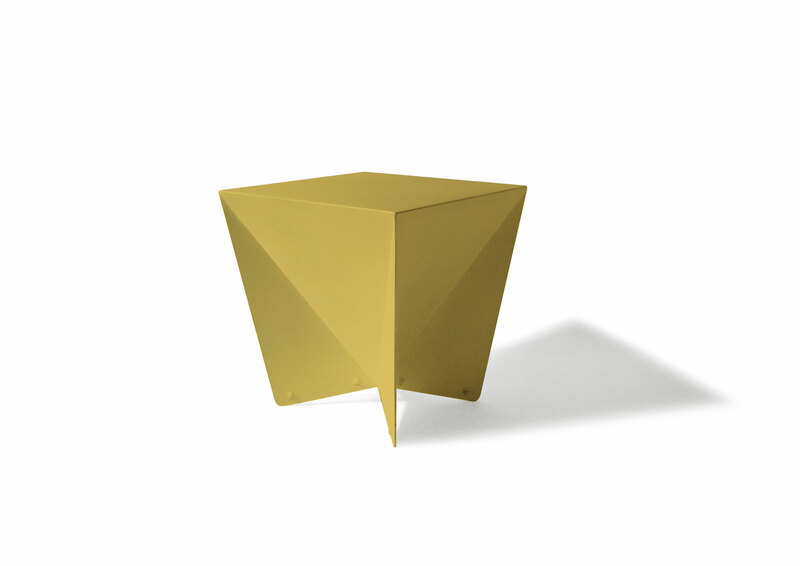 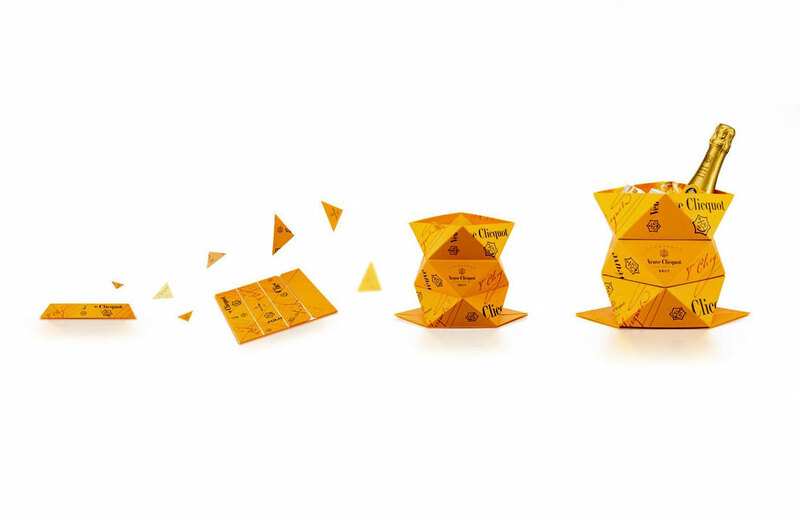 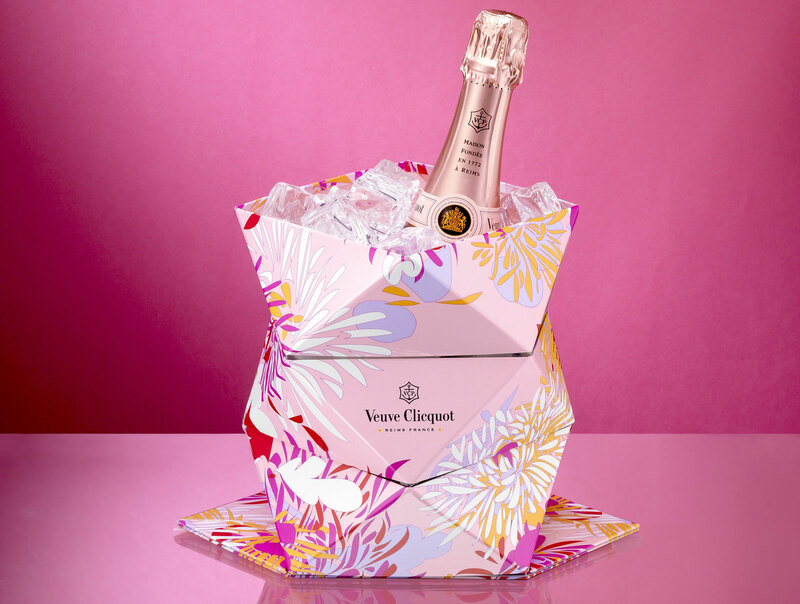 2011 - Clicq'Up for Veuve Clicquot - Inspired by origami, emerging designer Mathias van de Walle imagined the Clicq’Up as a playful, portable item to help you open, use and carry a Veuve Clicquot Champagne bucket. 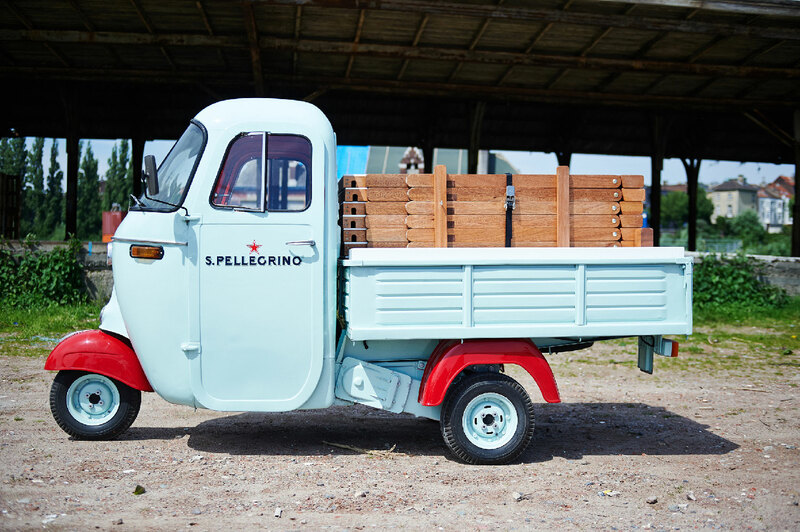 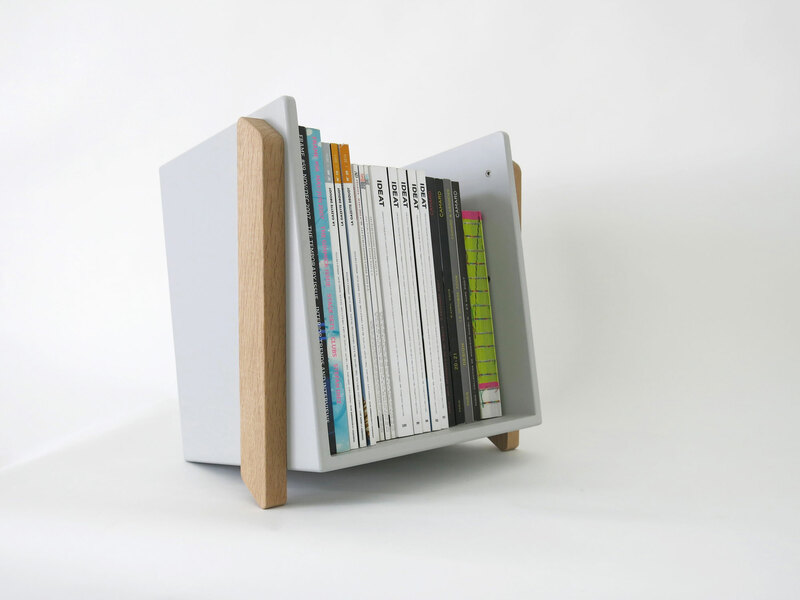 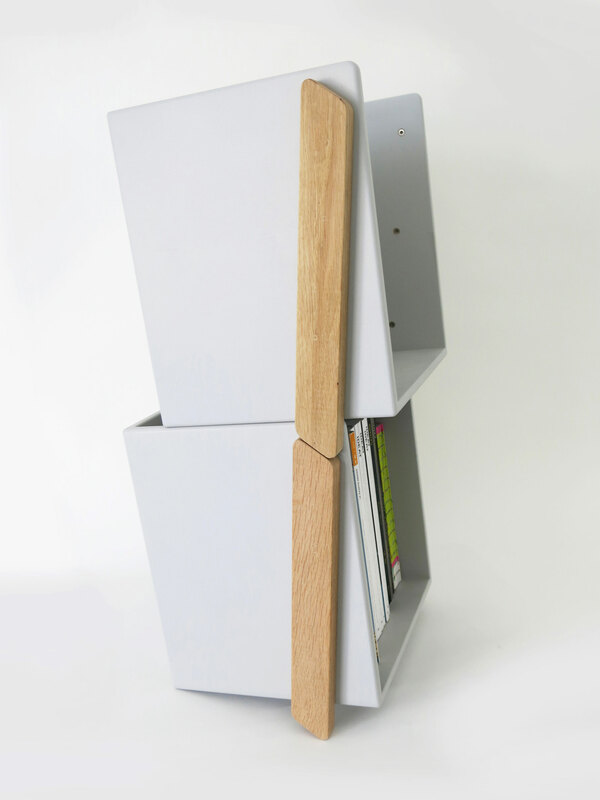 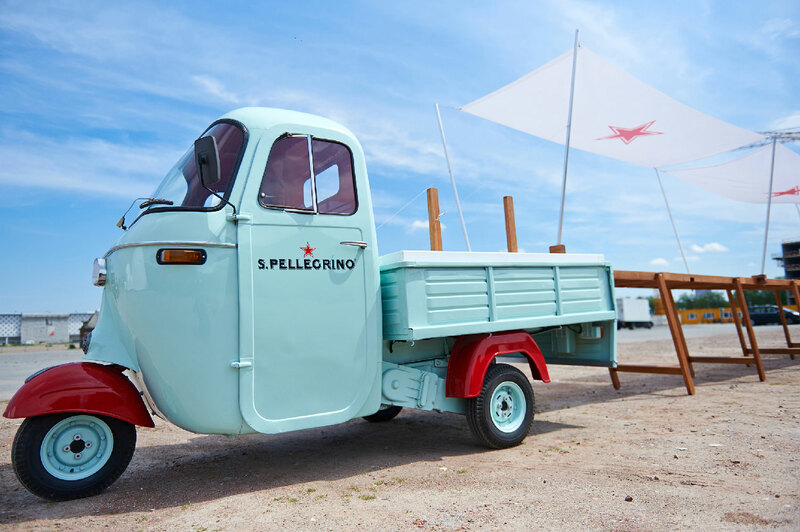 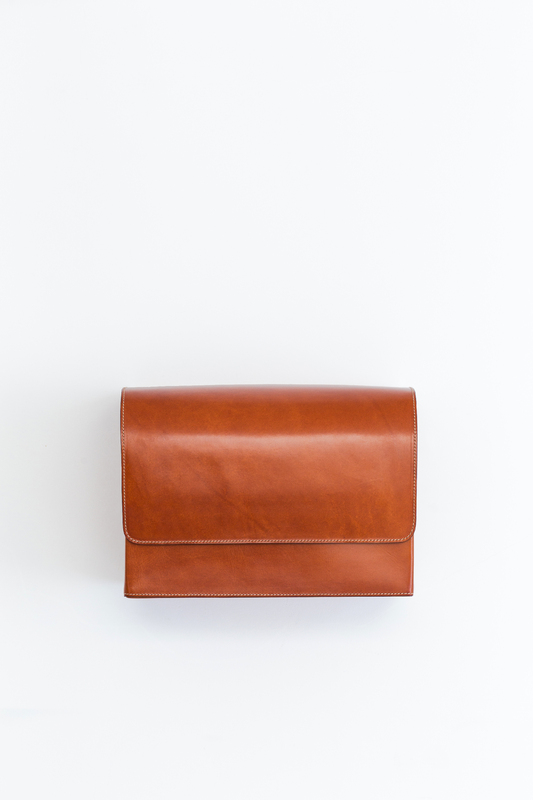 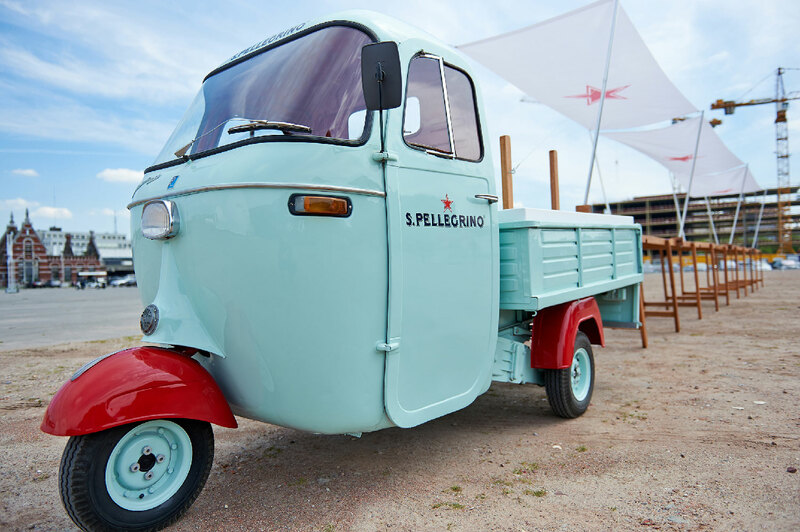 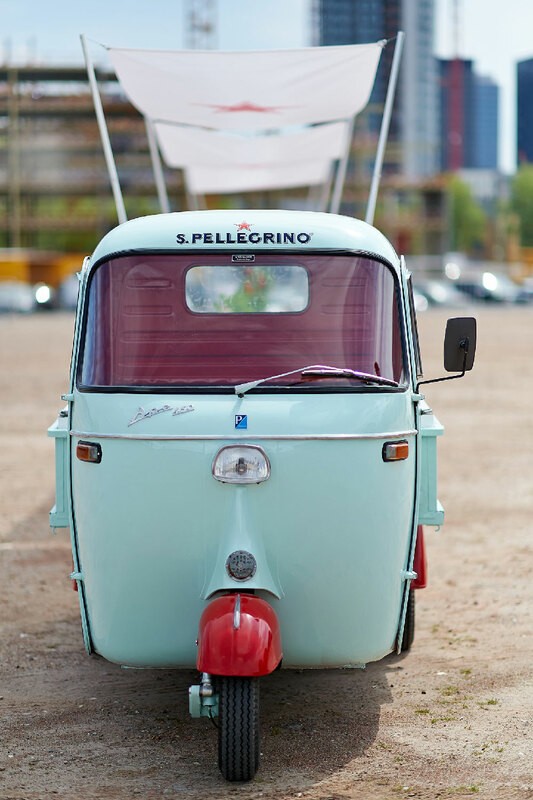 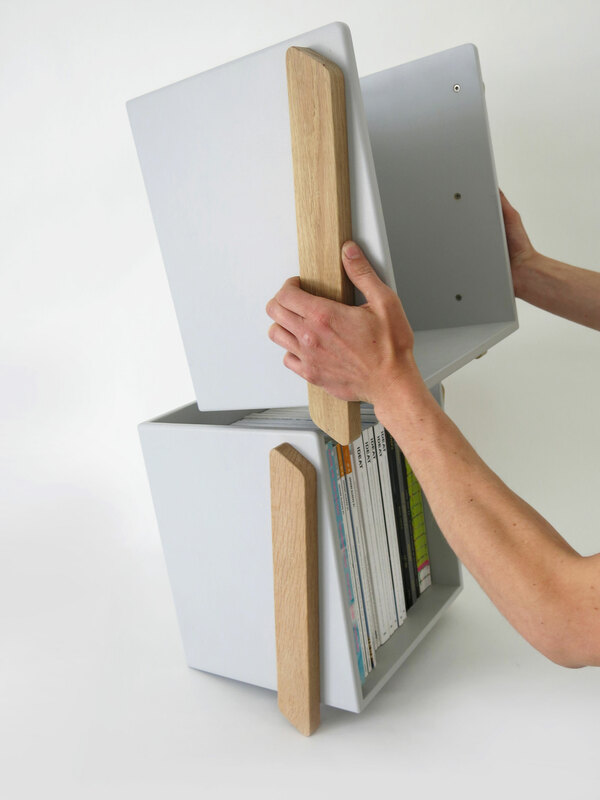 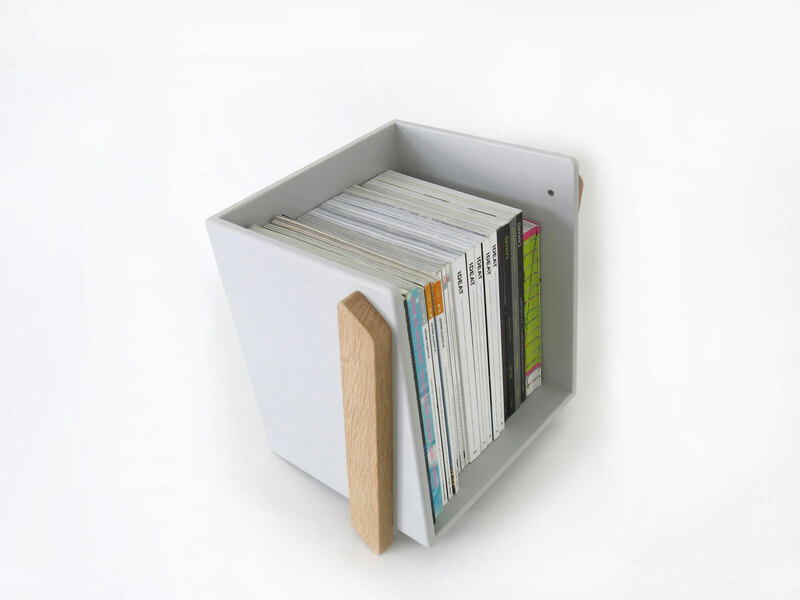 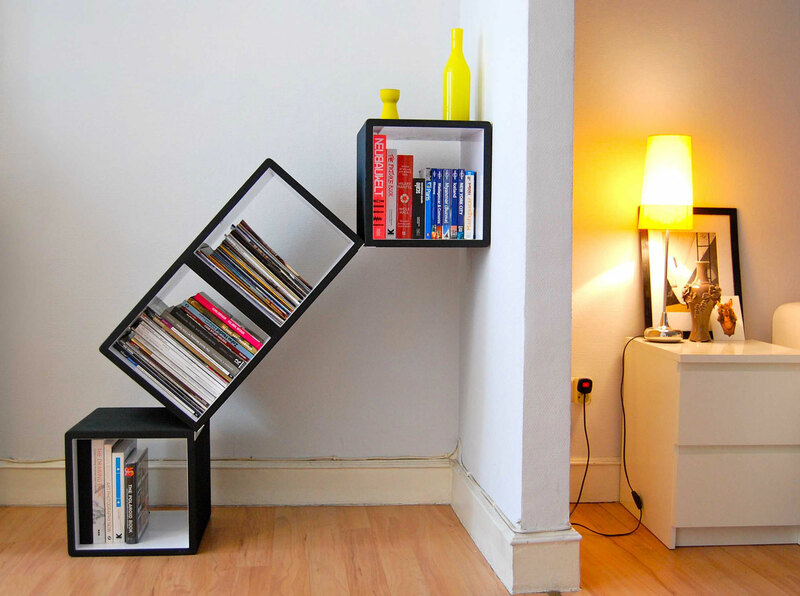 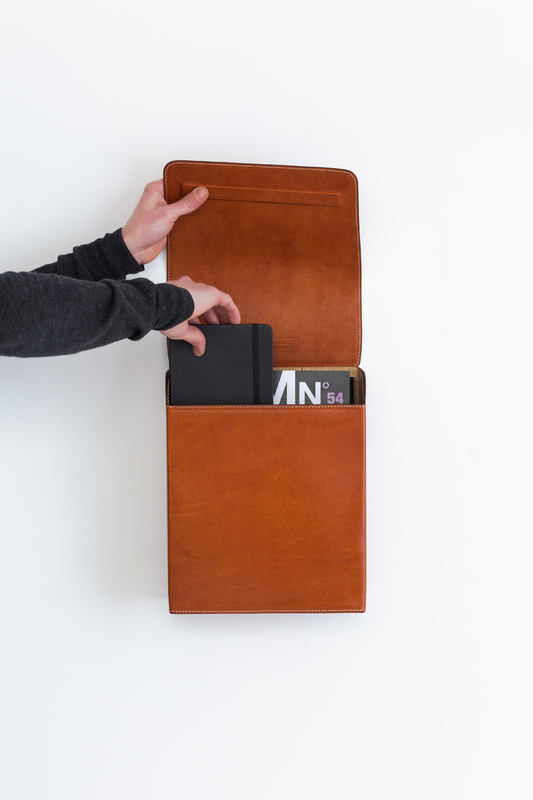 It can even be folded flat for easy transport and storage. 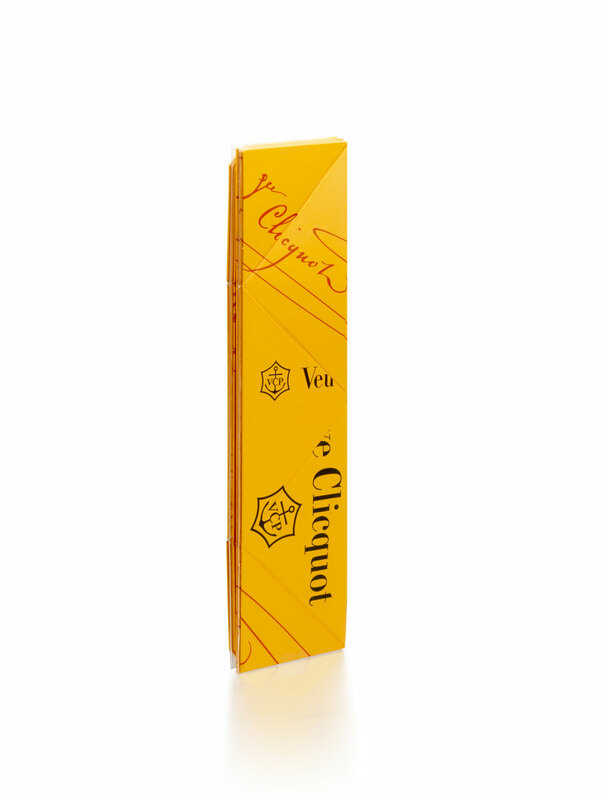 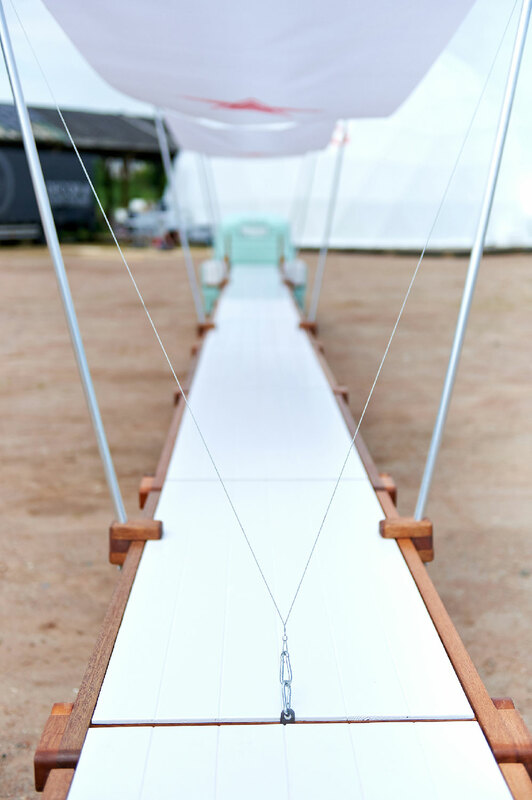 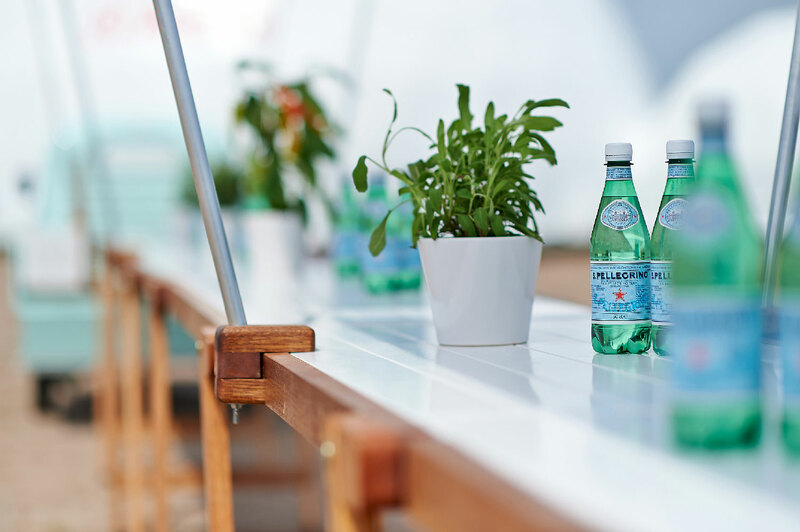 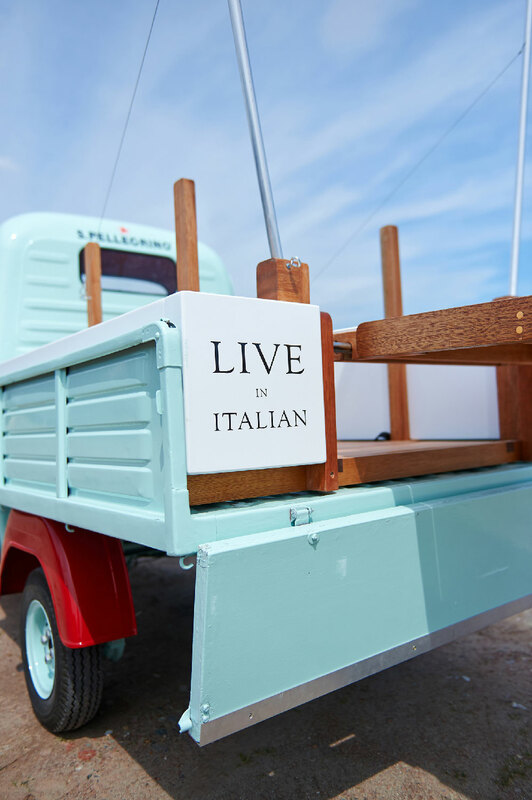 The Clicq’Up is truly an homage to Veuve Clicquot’s culture of creativity. 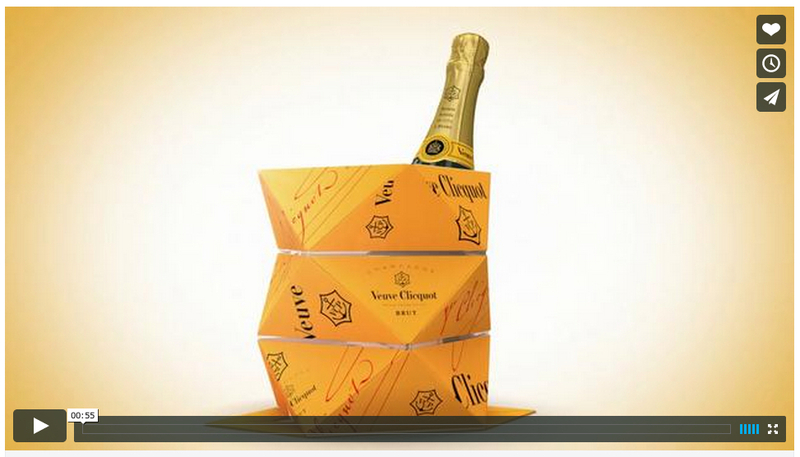 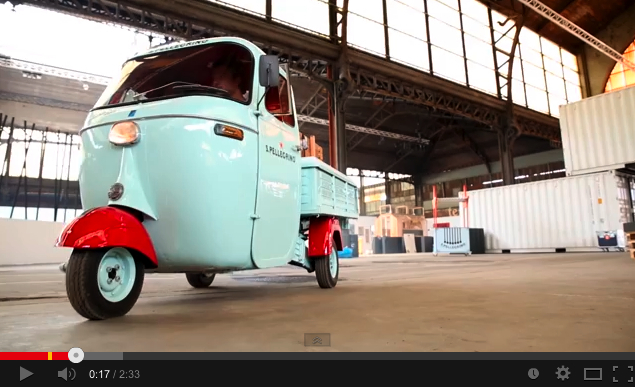 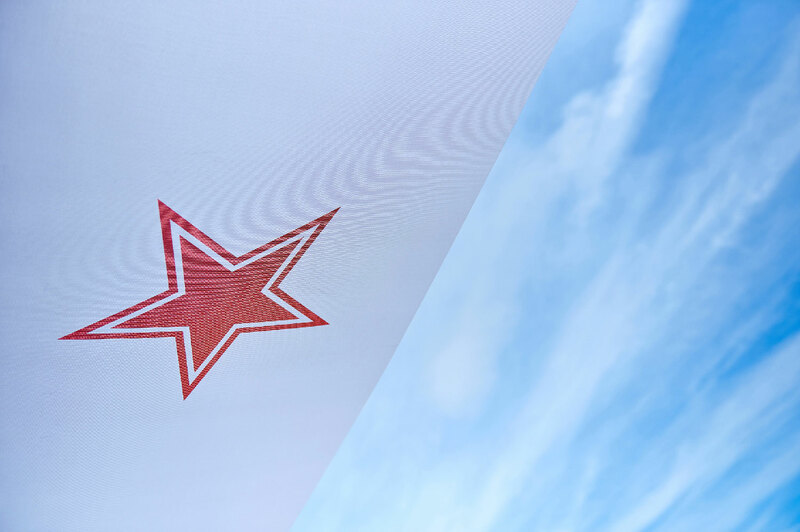 See how it unfolds: watch the video! 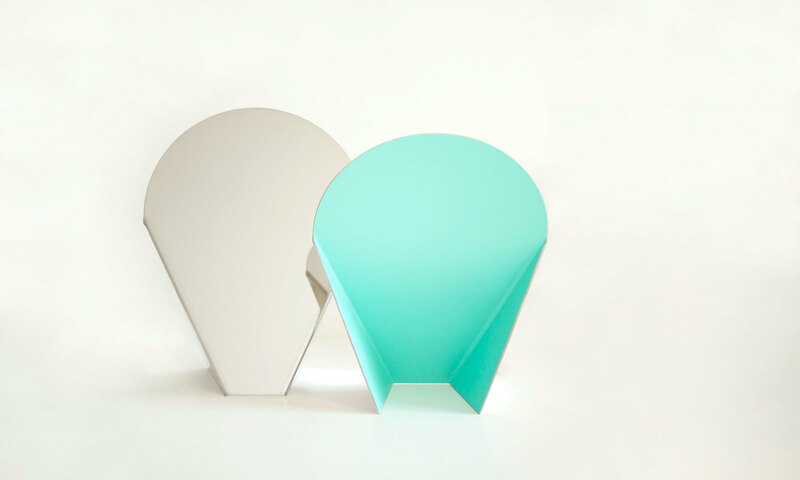 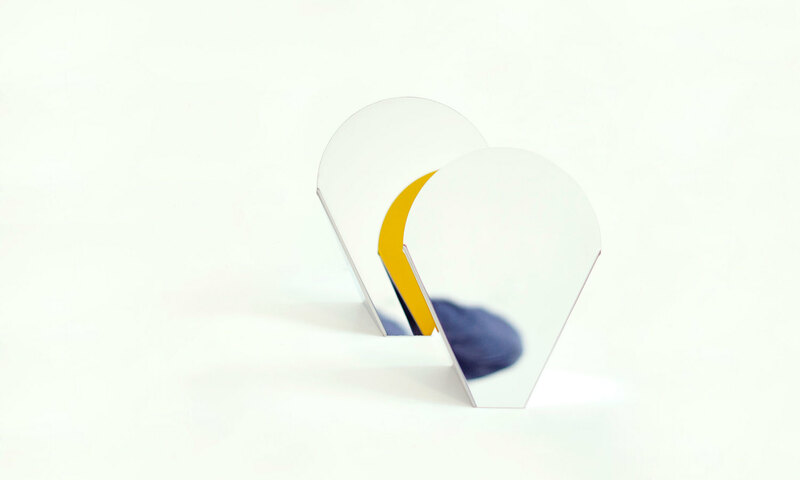 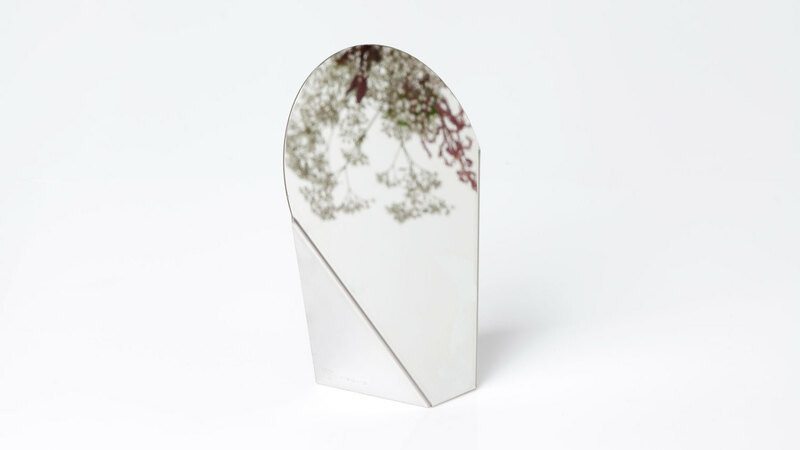 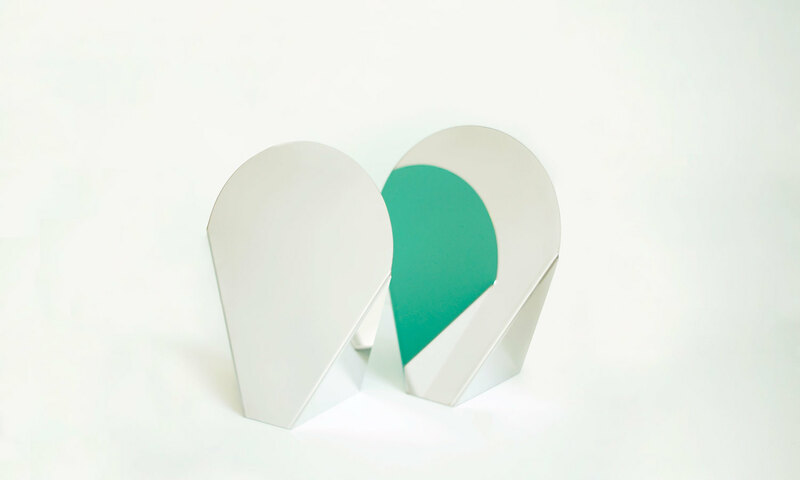 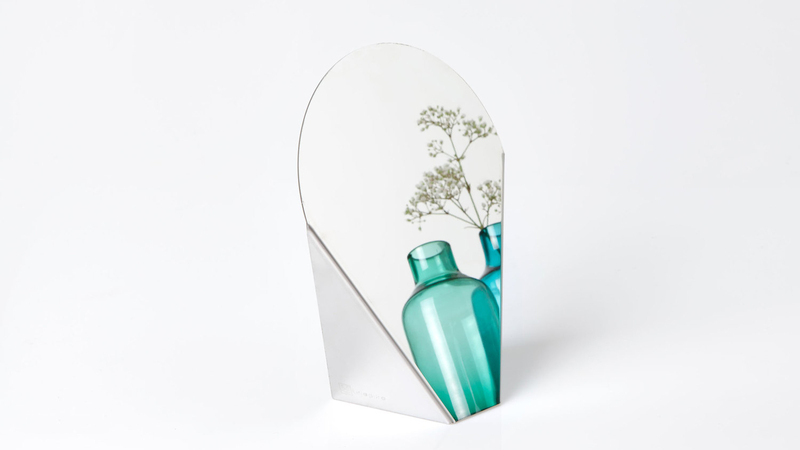 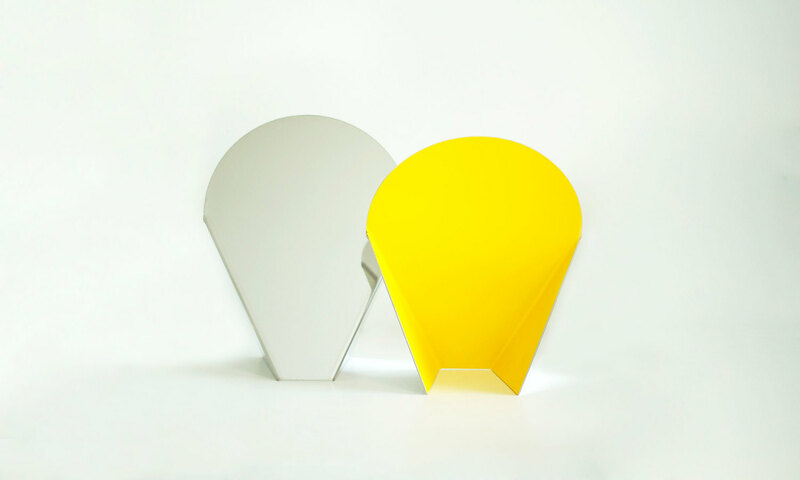 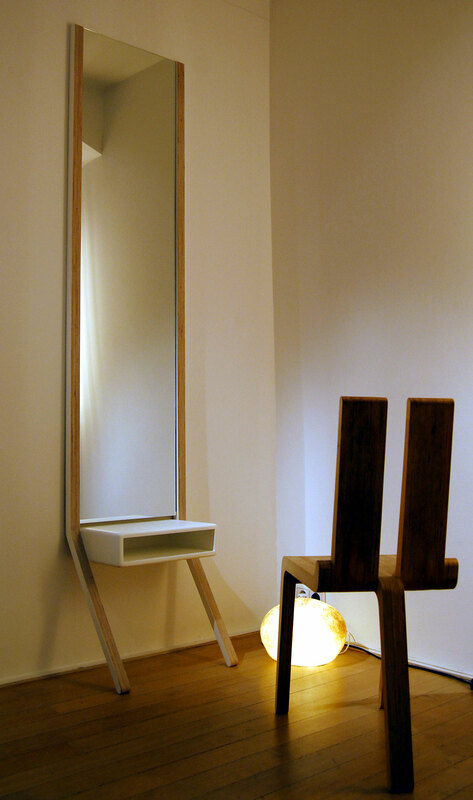 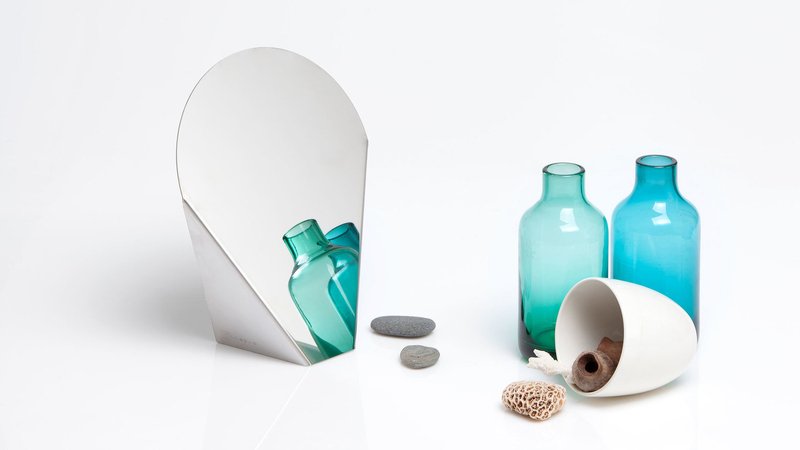 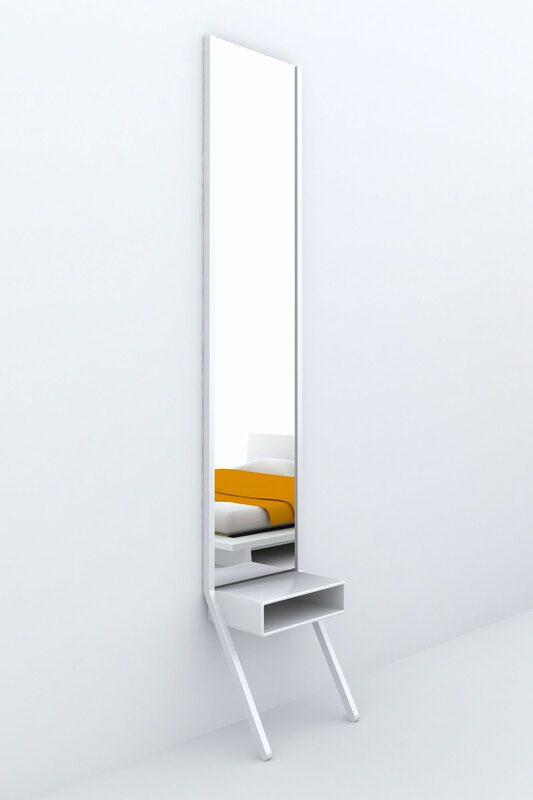 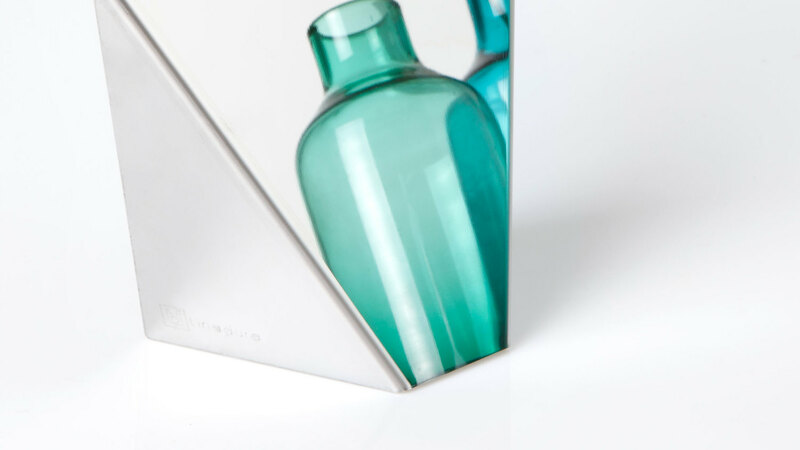 2010 - Le Miroir is a standing mirror made of a combination of DuPont™ Corian® and MDF. 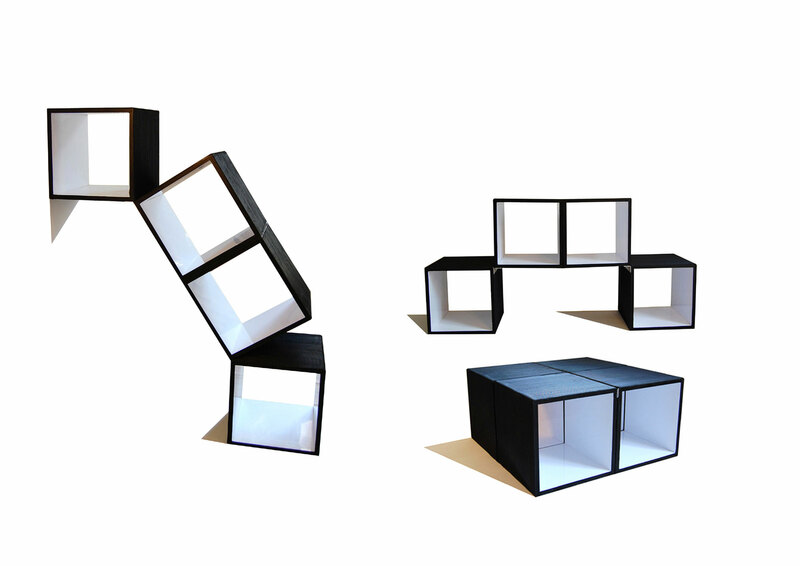 Its dimensions are: 45 x 230 x 43 cm. 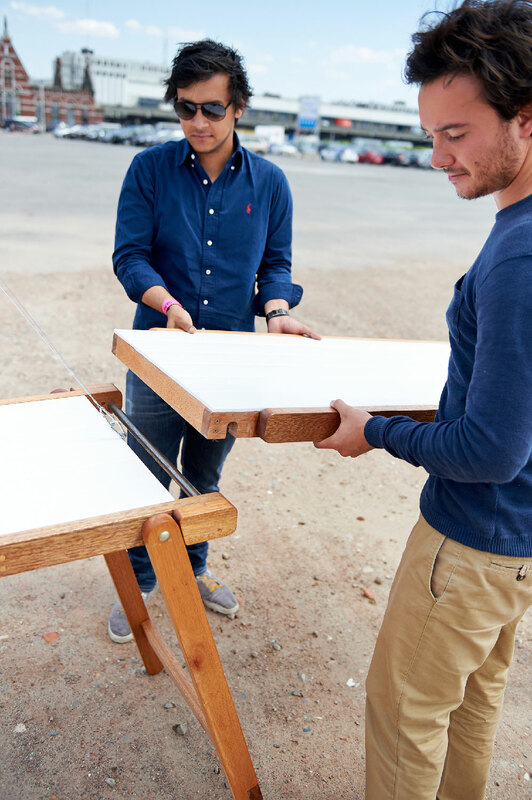 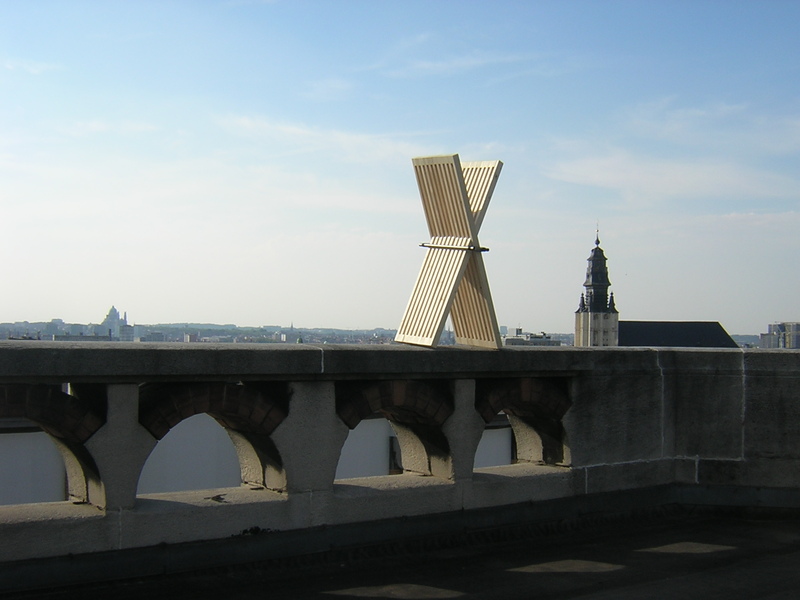 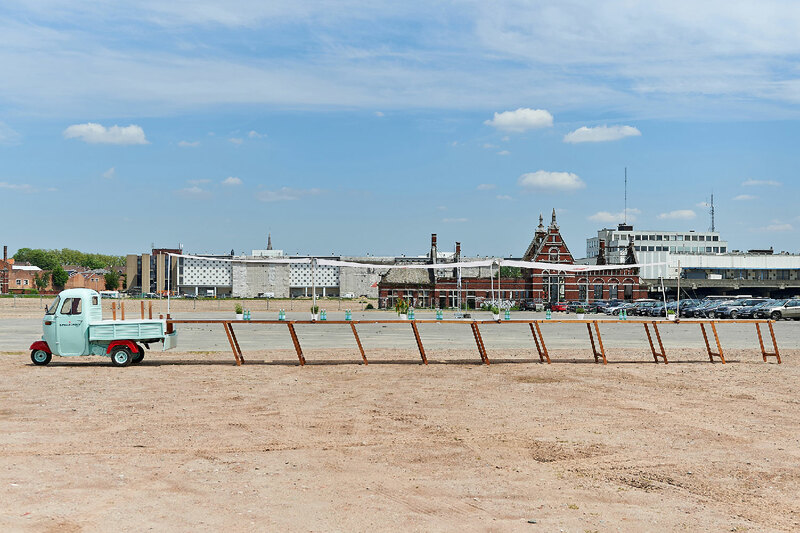 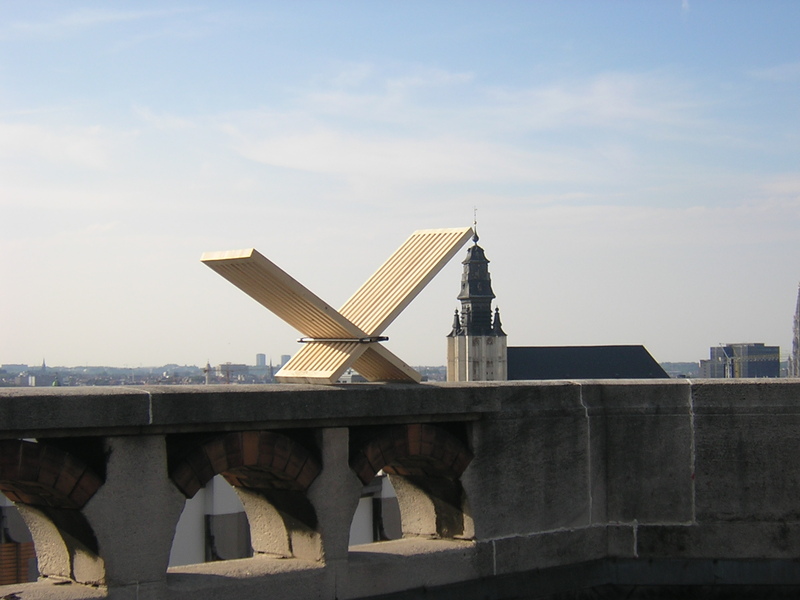 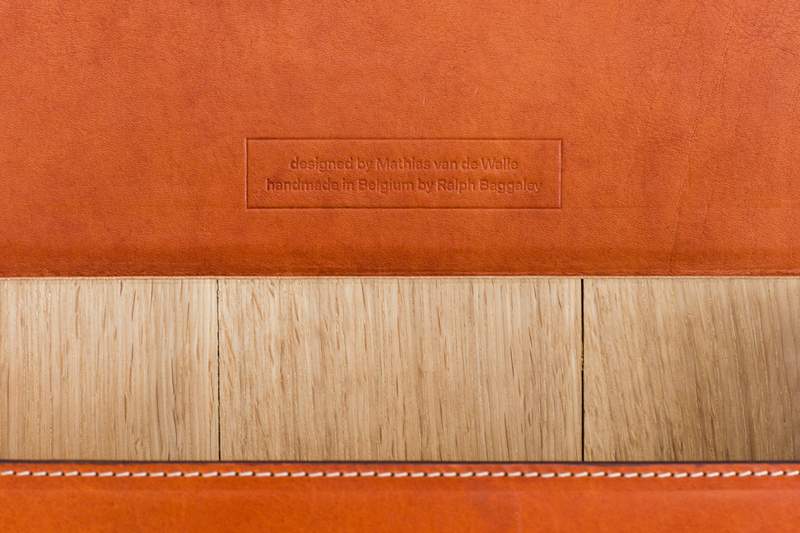 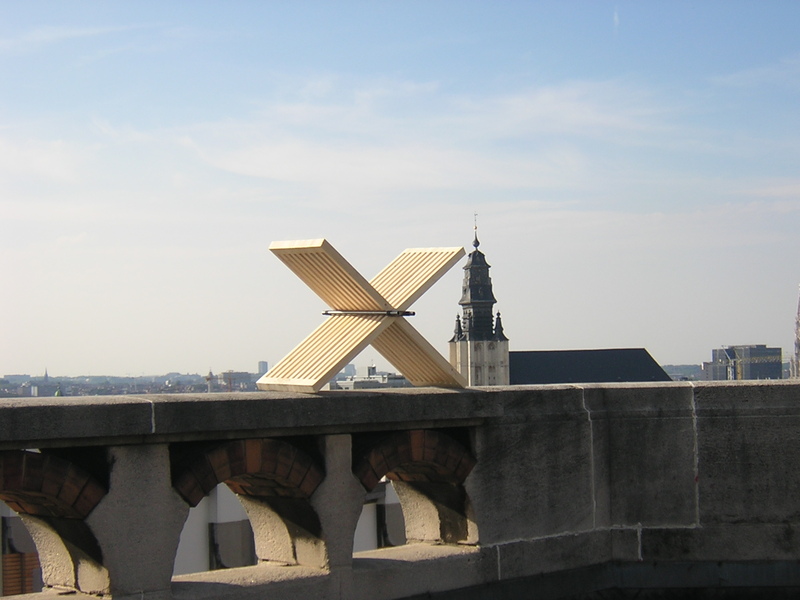 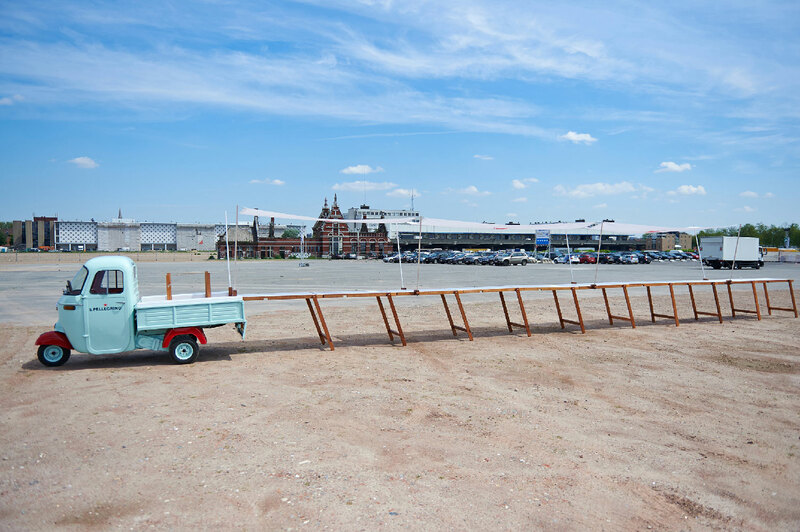 This prototype has been designed in collaboration with DuPont™ in the frame of an international young designers project. 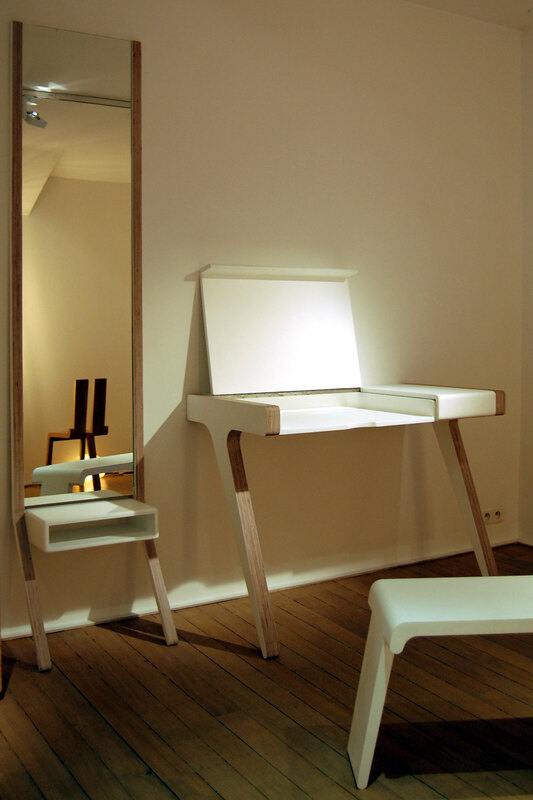 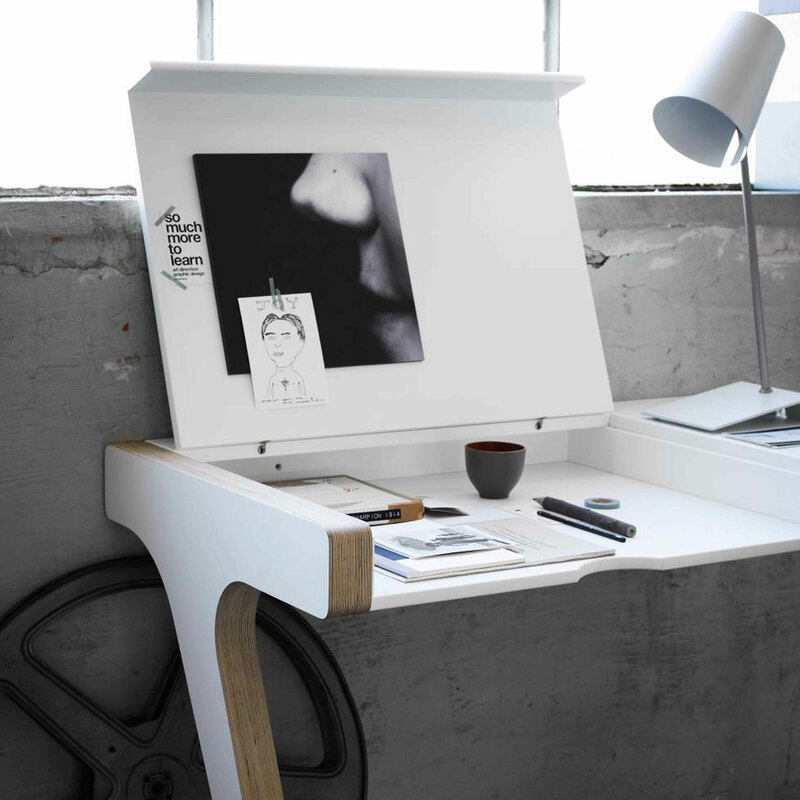 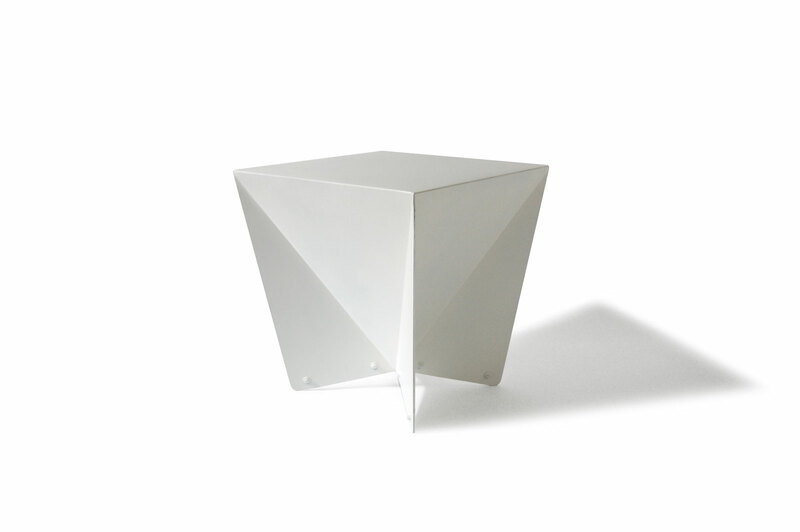 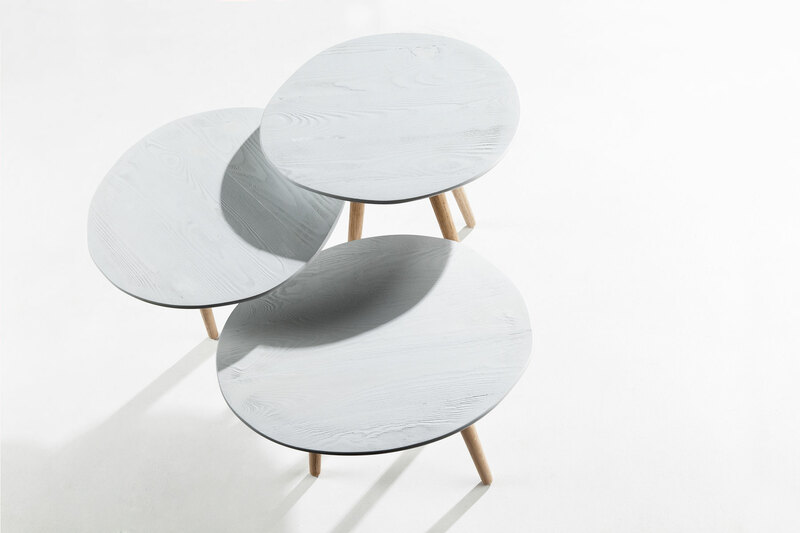 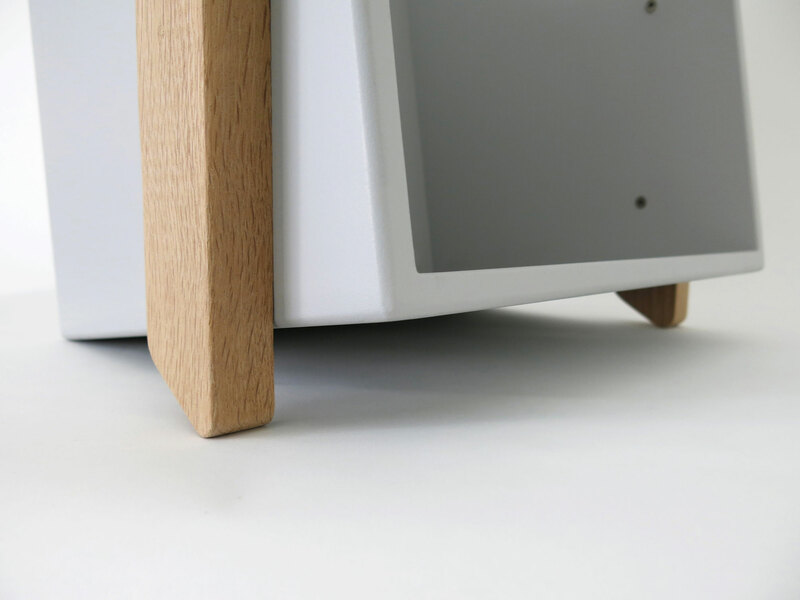 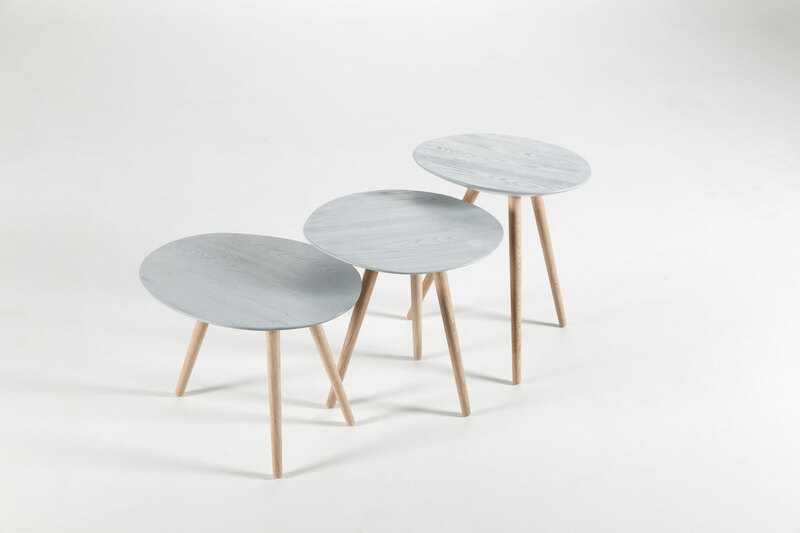 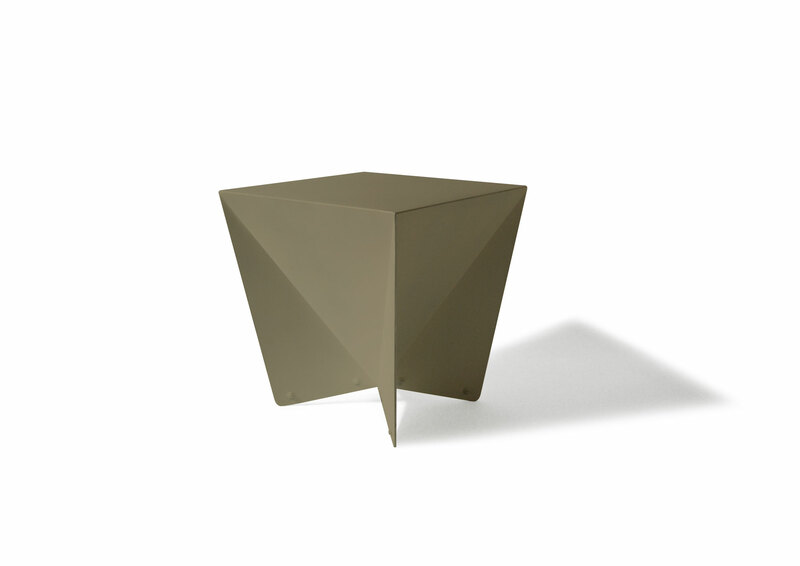 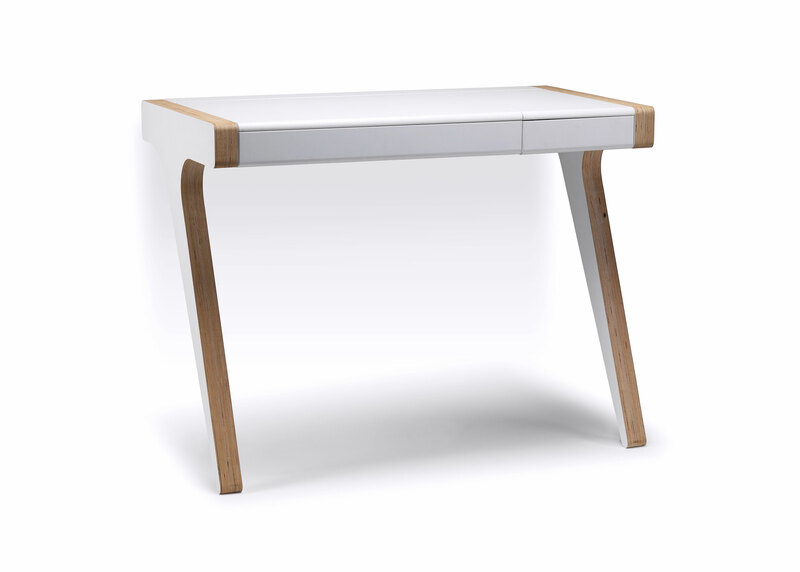 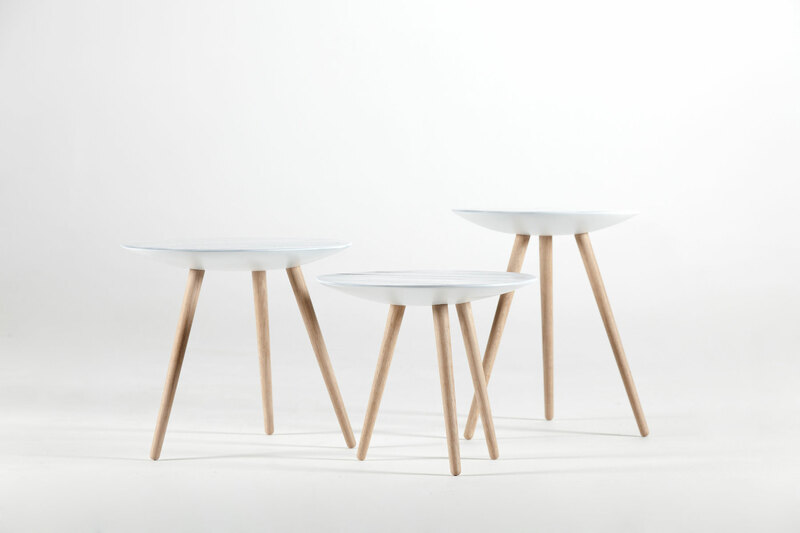 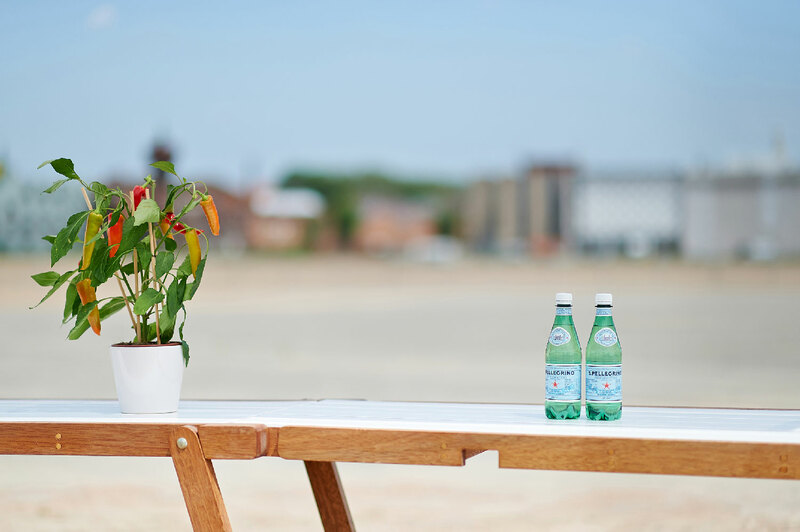 2010 - La Console for Bolia (DK) is a two legged leaning desk made out of digitally cut multiplex and MDF. 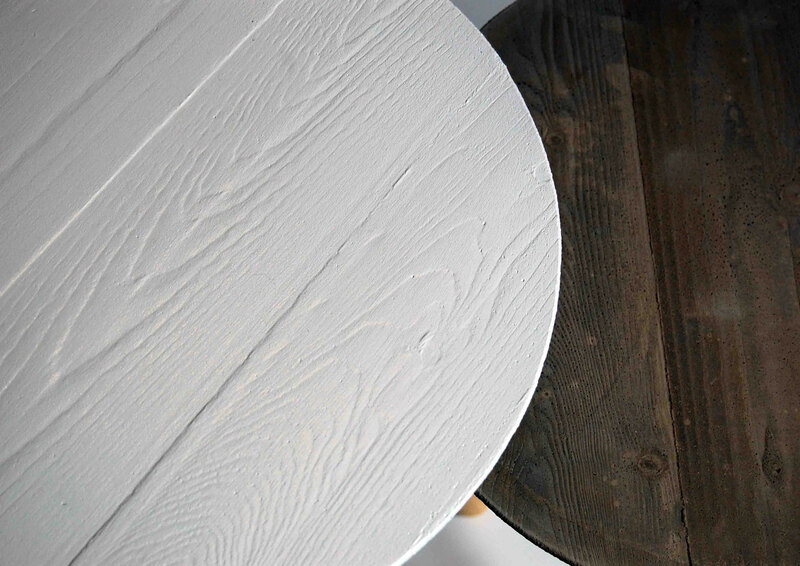 ‘I like the confrontation of the white paint and the darker surface of the multiplex panel that we usually hide.’ Available at Bolia. 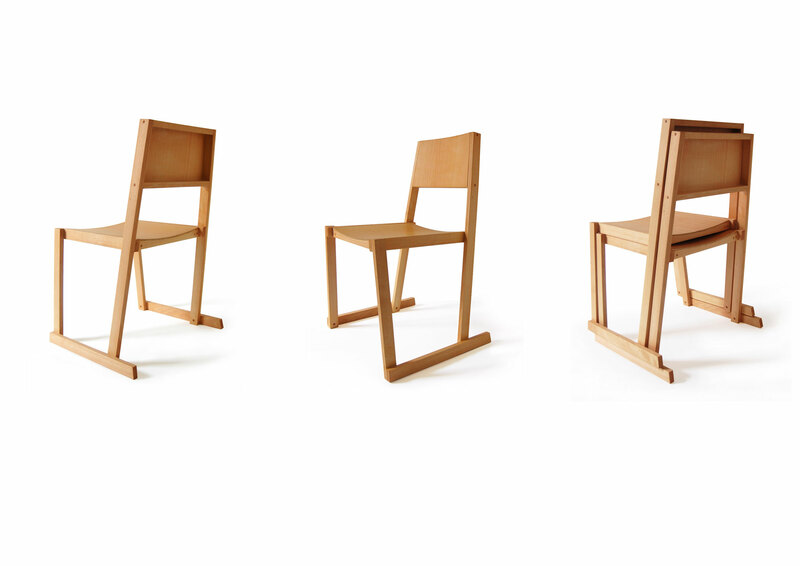 2009 - Three-legged wooden chair made out of a repetition of two different digitally cut pieces. 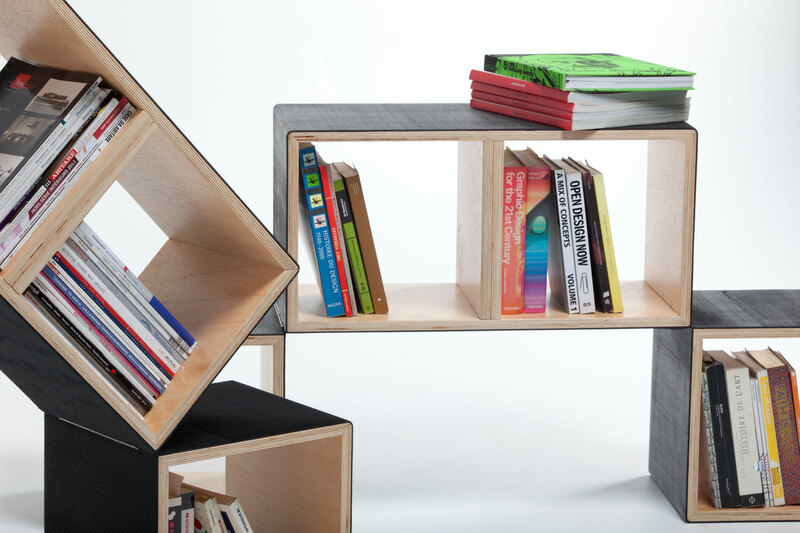 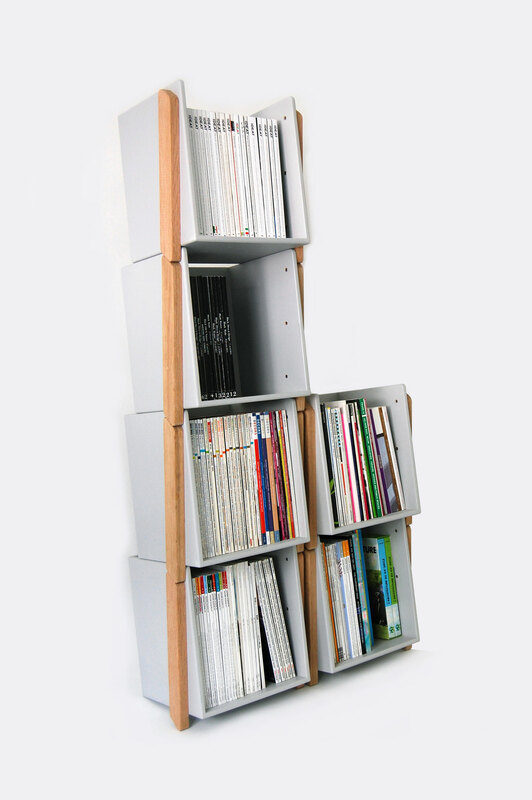 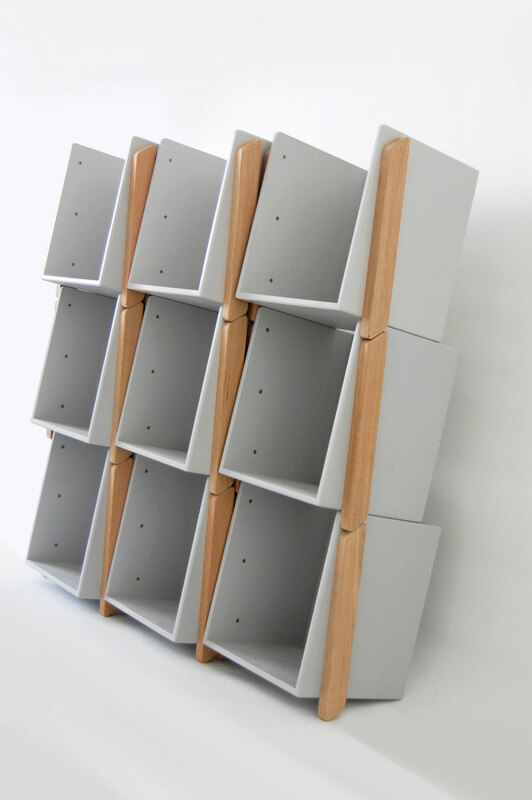 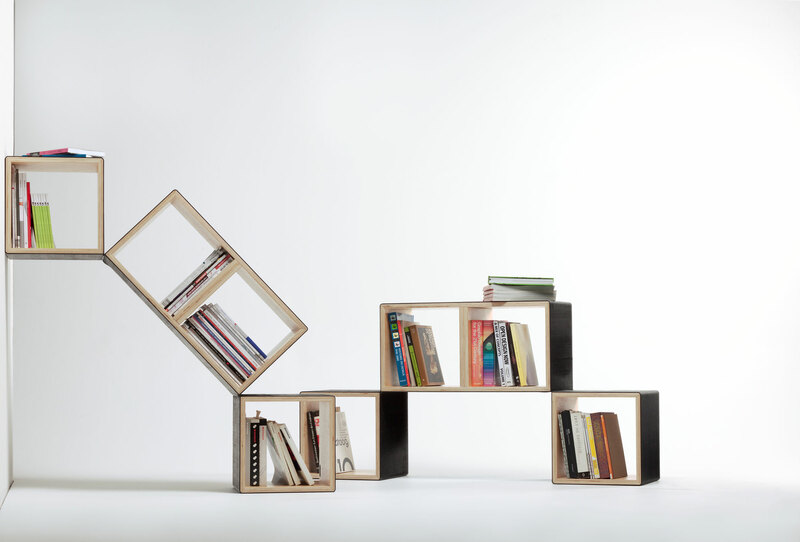 2008 - Shelving system composed by 4 wooden cubes covered with rigged rubber. 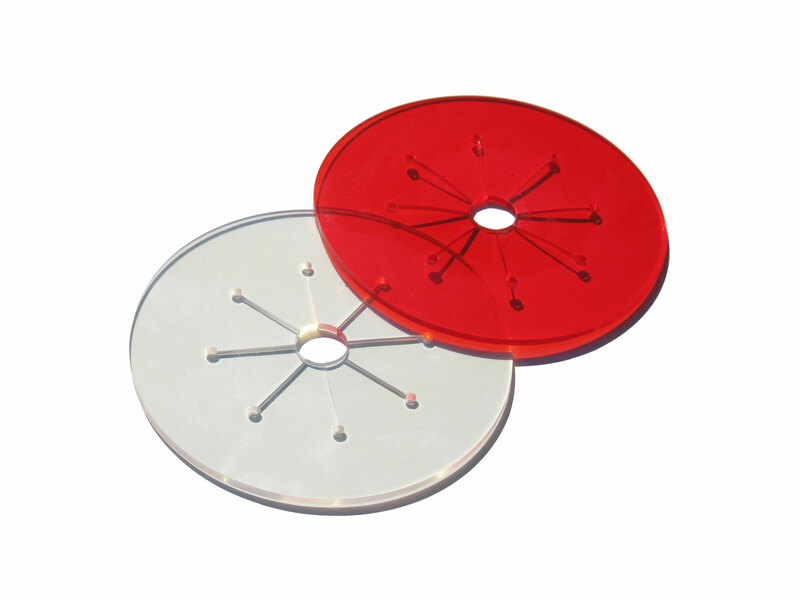 Different settings are possible thanks to this anti slip surface. 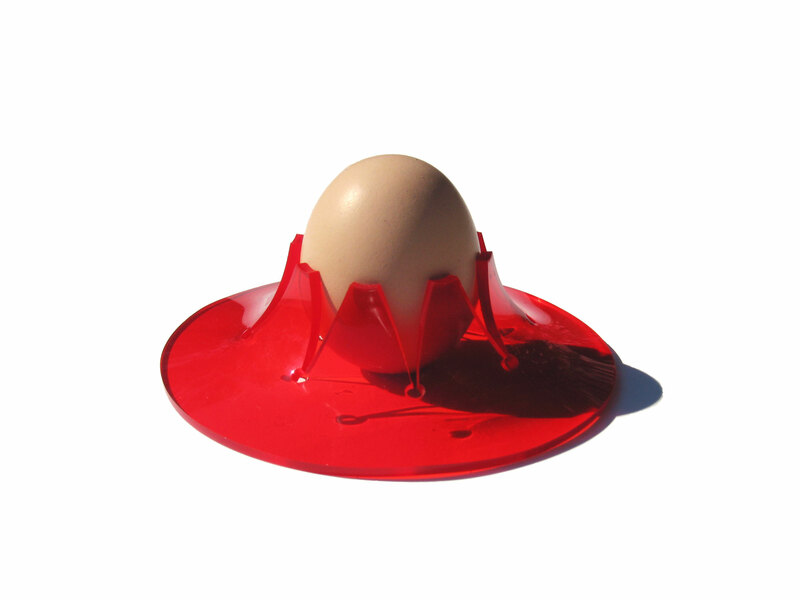 2008 - Made out of tinted soft PVC, these egg cups will keep your egg up when needed. 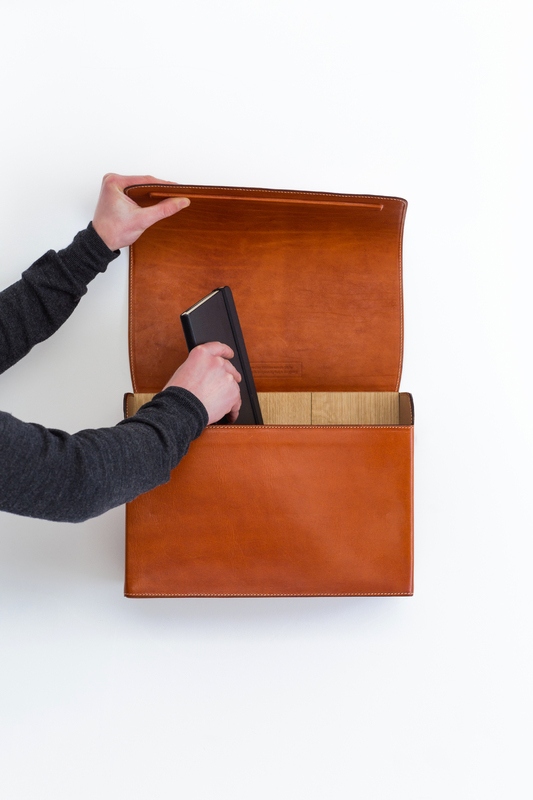 Easily cleaned and stored it obviously is shock resistant as well. 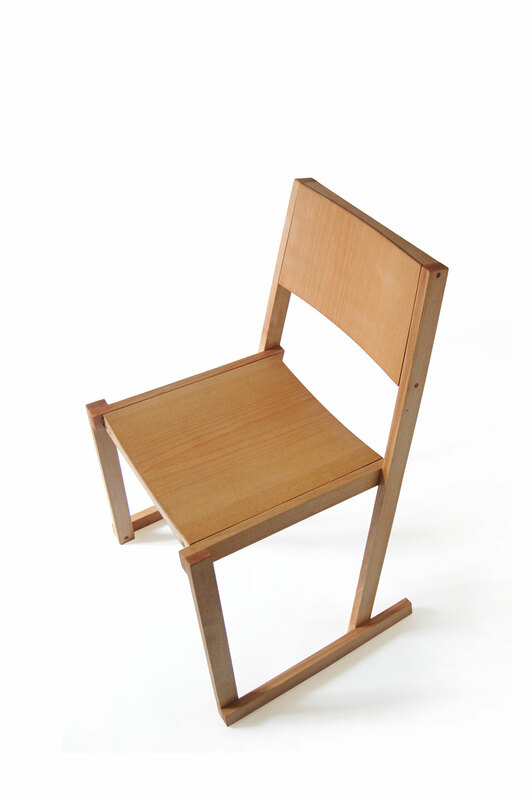 2005 - Multi-position chair made out of wood and steel. 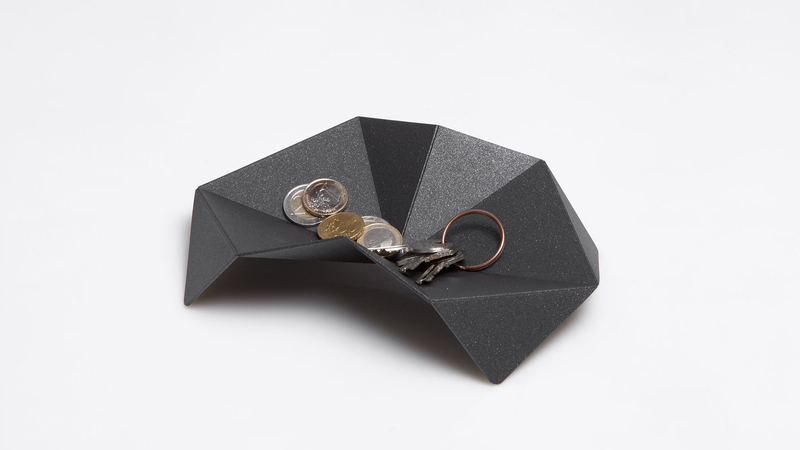 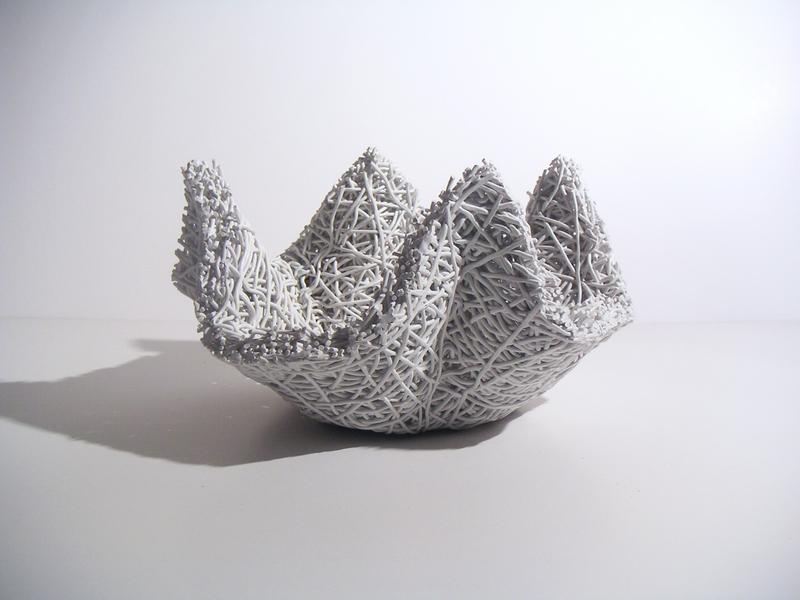 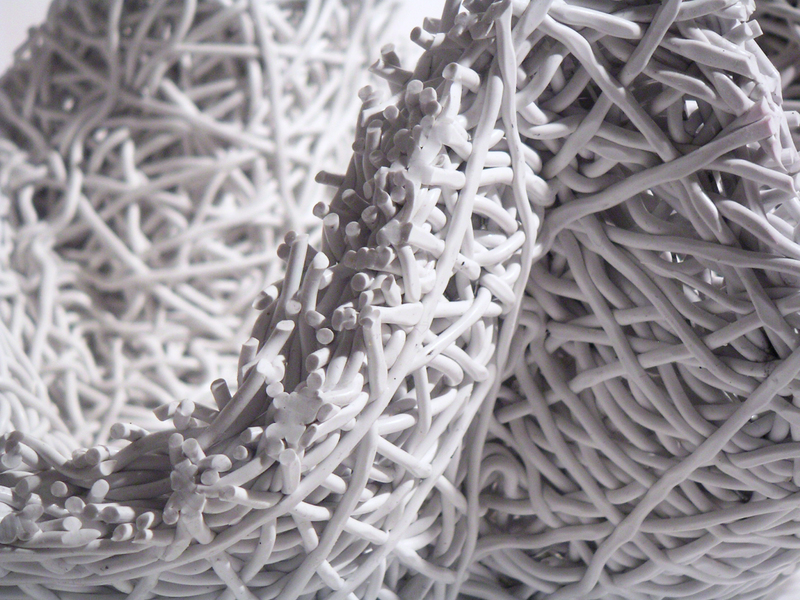 2005 - Silik is a modular tray made from knitted silicone threads combined with steel wires.